Although many of us dreamed of our wedding when we were young, I'm betting that, as kids, we weren't able to process how much the big day costs. It's only after we've become adults and deal with grown-up stuff like school loans and 401(k) contributions that the true cost of a wedding really hits home. 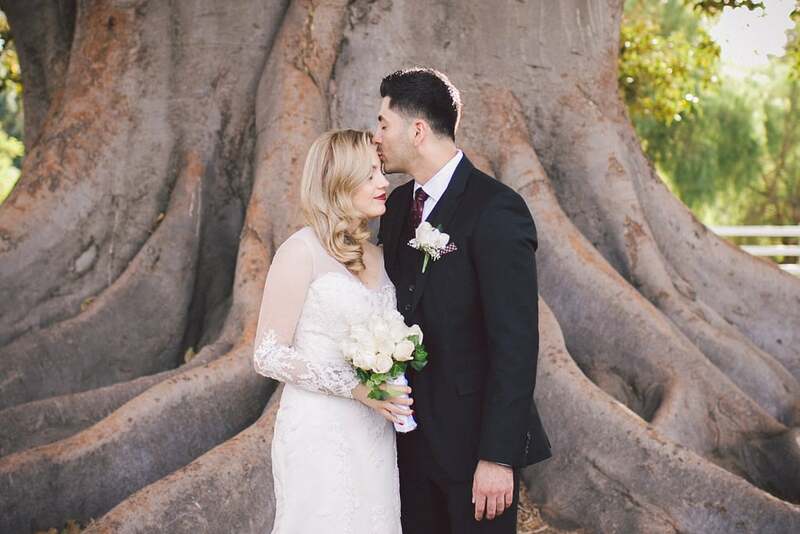 Going into debt because of a wedding isn't exactly the most romantic way to start a marriage, so read on for suggestions to help you save money on your wedding. When you're paying for your wedding expenses, you might decide to use a credit card to enjoy some of the rewards. Before doing so, keep in mind that you should only charge what you can pay off immediately. It's not worth going into debt for just one day, no matter how special it is. That said, if you know you can pay off what you owe (preferably within a month! ), then charging the expenses on credit cards will be a neat way of earning back cash and other rewards. Here are some good options. We have come to a point in which scientists can create diamonds in the lab that are virtually indistinguishable from mined diamonds. If you're contemplating buying this lab-grown gem during your engagement ring hunt, then here are a a few things you should know. Do what works with your budget and a stone with significance. 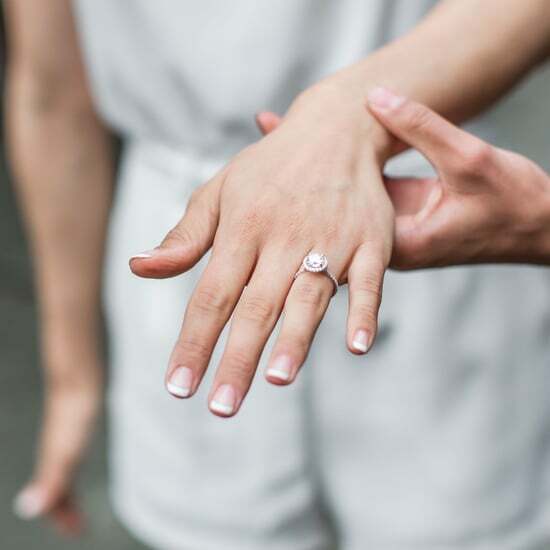 There is no hard and fast rule to buying an engagement ring, so don't sweat over forking over two months' salary if the both of you can't afford it. 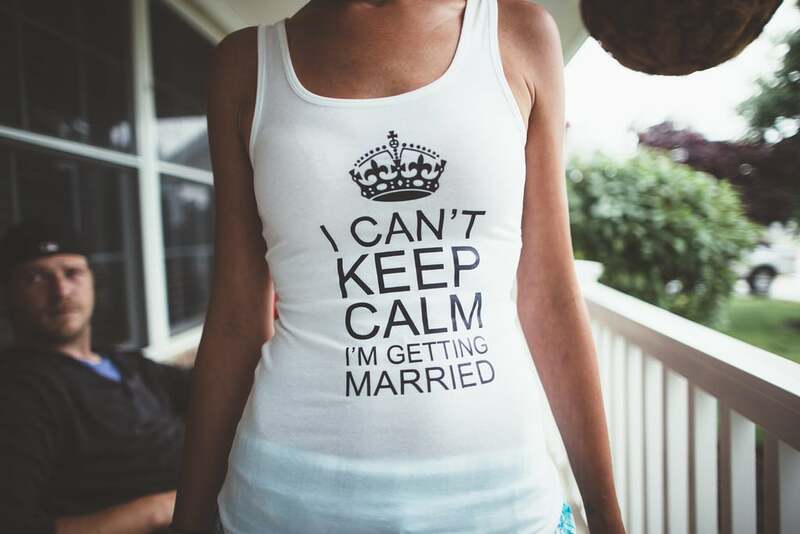 Keep in mind that you have more wedding expenses to battle. Focus more on the significance of the ring instead of the price tag. Perhaps she'll be happier with an engagement ring that has her birthstone, or maybe she wants a man-made gem or a preworn ring with history. 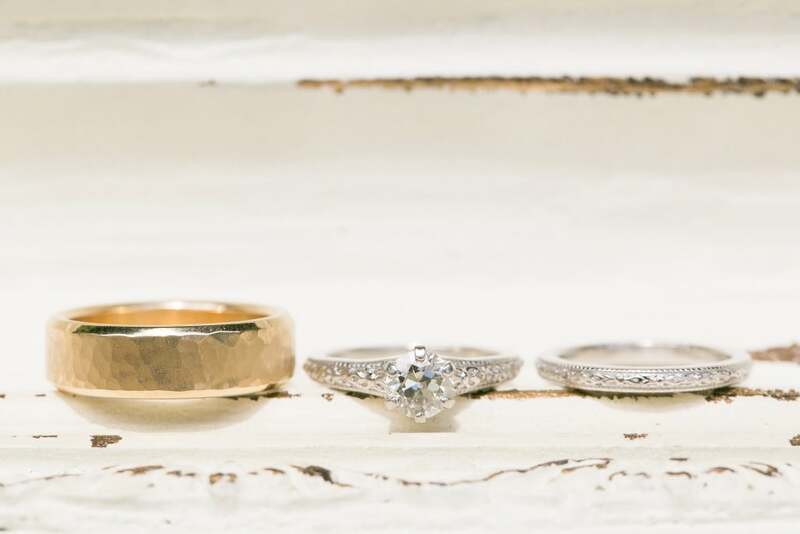 There are plenty of wallet-friendly options out there, so don't limit yourself to the never-been-worn traditional diamond ring! Road trips and cross-country weekends may be fun, but you and your friends will save big if you choose a spot in your own city instead. Not only will you skip the cost of gas and airfare, but you'll also be more knowledgeable about the most fun, inexpensive places to go for your party. Bringing your own food is a must for anyone who's hoping to save money. As soon as you arrive, make a trip to the local market to stock up on a variety of simple snacks. Even better? If you have the resources available, then you should plan to make a few meals yourselves. While you're at it, head to the liquor store, too. Buy your own booze, set up a bar area in the room, and ask pals to mix their favorite cocktail recipes for tasty sips minus the tips. Sure, you'd like to have a nice, long weekend to spend with your pals, but the truth is, not everyone can afford to take that time off and spend so much extra money. Be realistic when you make your plans and consider your friends' budgets, too. Why not save some dough by limiting your bachelorette festivities to one day, instead of going all out for an entire weekend? If just one night of celebrating doesn't sound like enough fun, then consider making a whole day of it. For my bachelorette soiree, I spent the day brunching and getting manicures with my bridesmaids, and then we all had dinner together before hitting the town. I got to spend some serious quality time with my friends and sisters without breaking the bank with an entire weekend away. To get the most bang for your buck, it's smart to choose an off-season weekend for your festivities because prices will be lower across the board. Plus, since you'll likely have a larger party, it'll be nice not to fight extra crowds. Rather than shelling out for a hotel room, why not rent a house instead? 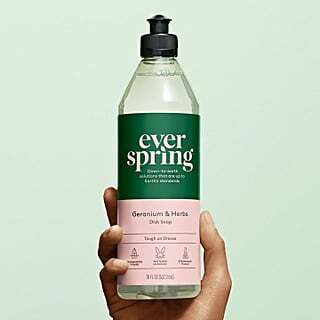 You'll have a more cozy, intimate atmosphere, and everyone will be free to come and go as they please — free of any messy, time-sensitive checkout situations. If you haven't seen someone in a long, long time, then they can probably be considered for your cut list. (Think childhood friends and old acquaintances.) A good rule of thumb: you should invite the people who know your fiancé — the people who have spent time with you as a couple, who play a part in your present lifestyle. Divide your guests into groups: immediate family, closest relatives, extended relatives, family friends, friends, acquaintances, kids, coworkers, etc. Once you've both classified your lists, see if you can trim the list by removing entire categories. Maybe you can both nix the young kids, the acquaintances, and the coworkers. Keep going until exceptions start to pop up, and then evaluate each possible guest individually. While printed invitations are lovely, the purchase price adds up, especially when factoring in overseas mailing rates. 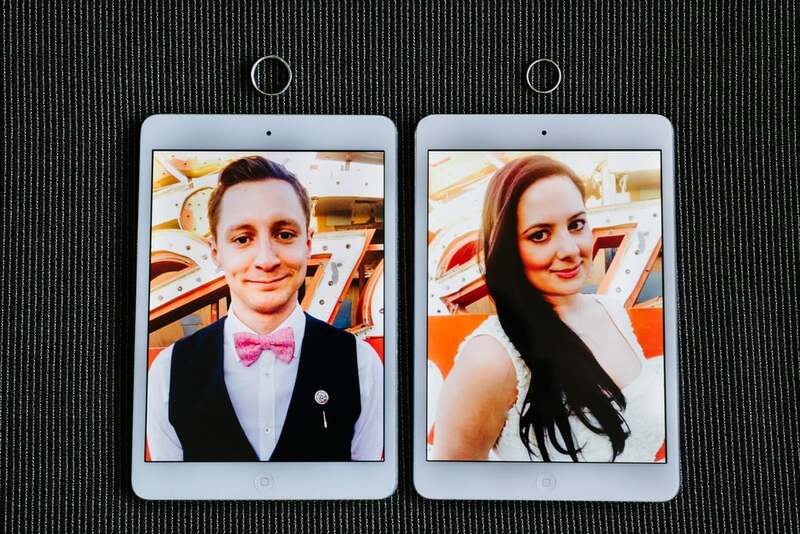 If a simple email invite isn't your style for anything fancier than a weekend bar night or birthday party, then consider making a personal video to share the wedding details online. 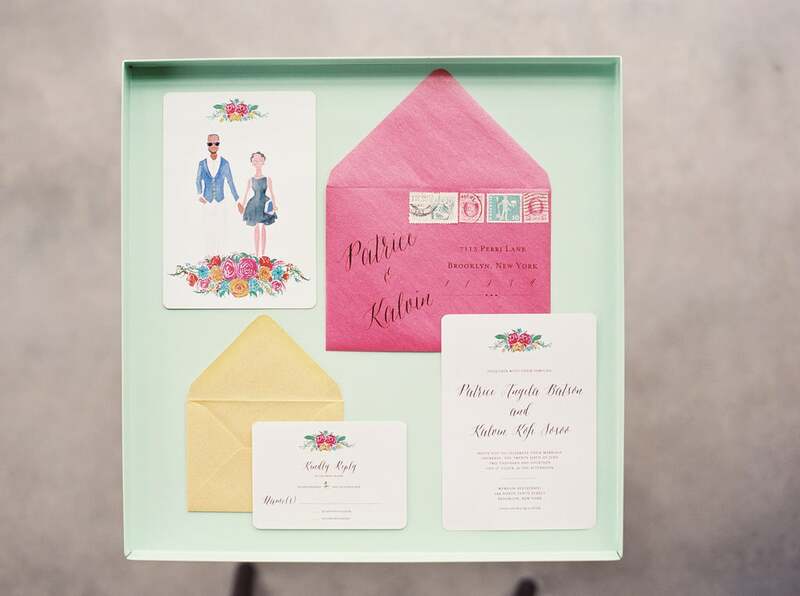 Some very lovely wedding invitations are square in shape, but did you know that the US Postal Service will tack on extra postage charges if the length divided by height is less than 1.3 or more than 2.5? And adding additional frills to envelope exteriors will also up the postage, so stick to simple, standard-size envelopes to avoid paying more. Proofread — a hundred times. Having your wedding invitations reprinted because you called your mother-in-law Carl instead of Carol will throw a wrench in your budget planning. And order extra invitations and envelopes just in case you forget to invite a coworker or your mother's distant cousin in Nigeria. If you're a wiz in Photoshop (or have a good pal who is), then think about designing and printing your own invitations and stationery. 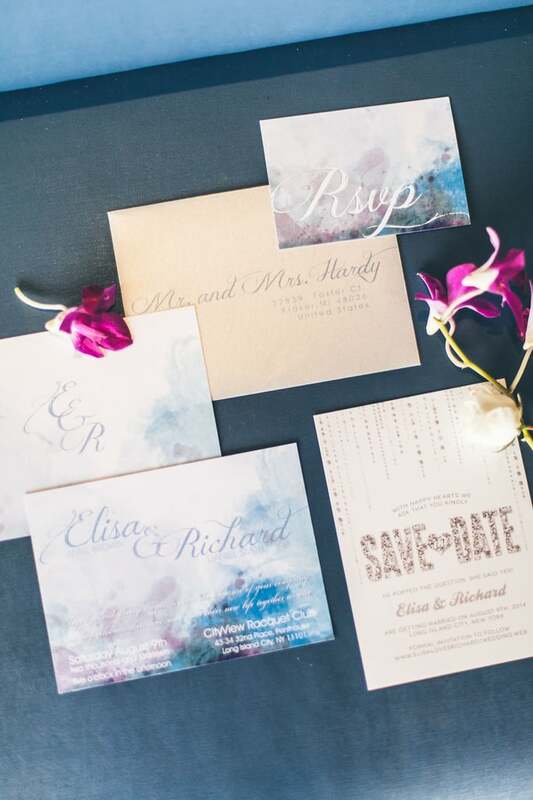 It might be more work, but you'll have the flexibility to choose any printing method that works with your budget, and you'll have the satisfaction of creating works of art for your big day! Letterpress may be the ticket to an expensive-looking invitation, but the price usually matches the appearance. Look into thermography, which provides similar raised printing for much less than traditional letterpress. 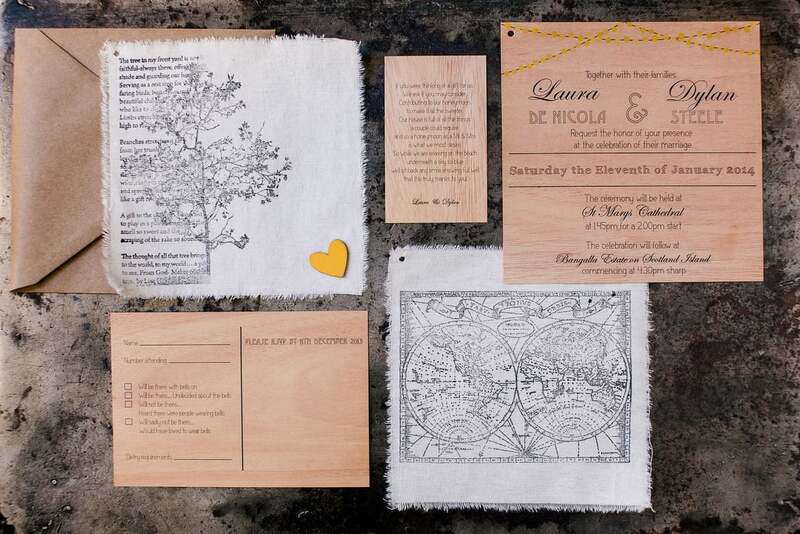 Or, for casual wedding invites, laser printing is fast and inexpensive. 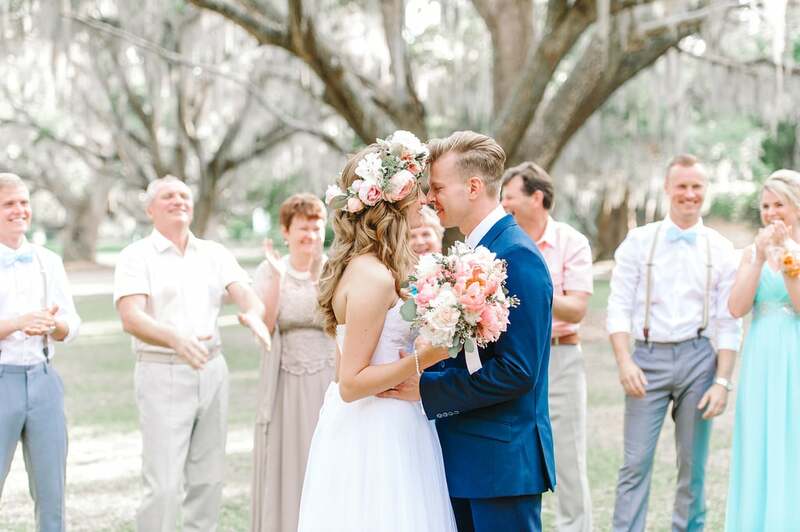 If you find it hard to organize your wedding without a planner, then consider day-of coordinators, who will make sure your wedding day goes off without a hitch. 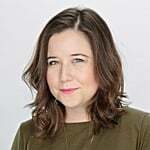 According to Offbeat Bride, "A good DOC will do quite a bit of troubleshooting for you in the weeks prior to your wedding." Here is a great checklist from About.com to help you figure out if you need a wedding planner, could use a DOC, or can even go it alone. 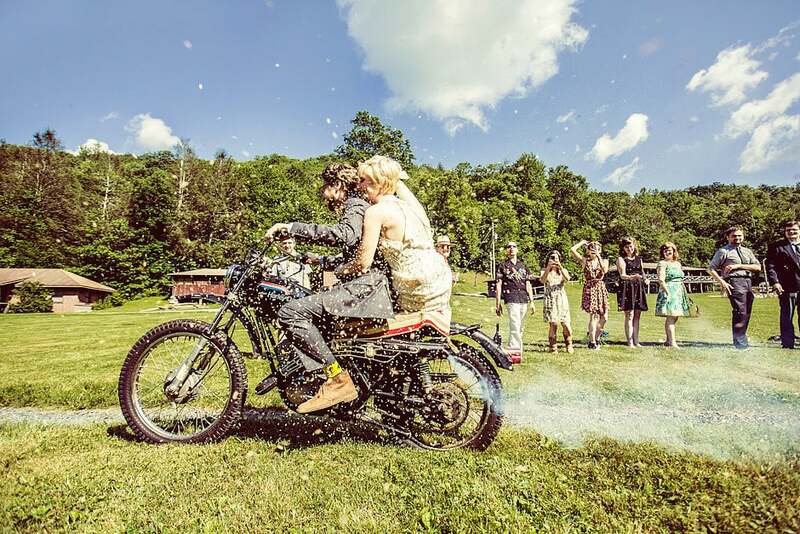 Nowadays, it's not risqué or taboo to elope. That's because most people choose to do it because they want to and not because their father doesn't approve. 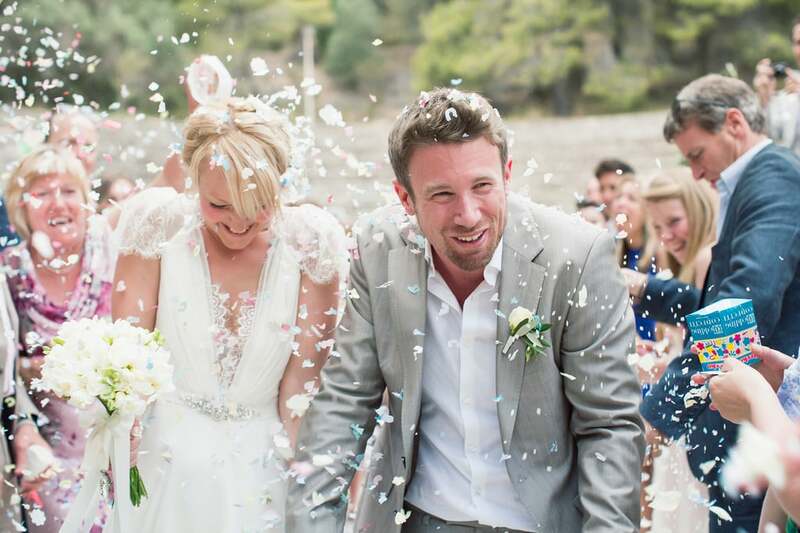 Eloping has its benefits — a more intimate affair with your other half, no sticky family situations to deal with, a low-cost wedding, zero planning . . . the list goes on. 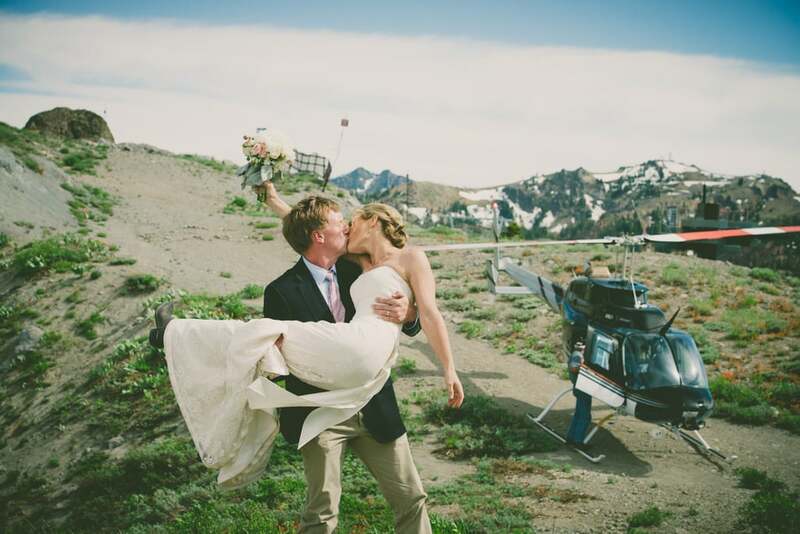 If you're game for an elopement, then check out these tips by expert Lisa Tabb. 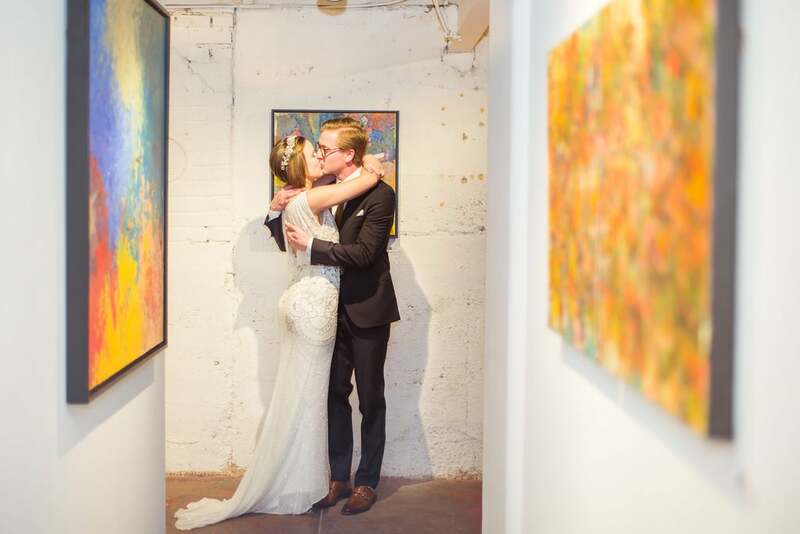 The best part about "running away" to get married is that if you pick an out-of-town destination to elope to, then you can save money by combining your honeymoon and wedding. Look for bulk or wholesale deals, which will trim your per-favor cost. Candy, soaps, and packaging are excellent candidates to find at low prices in large quantities. 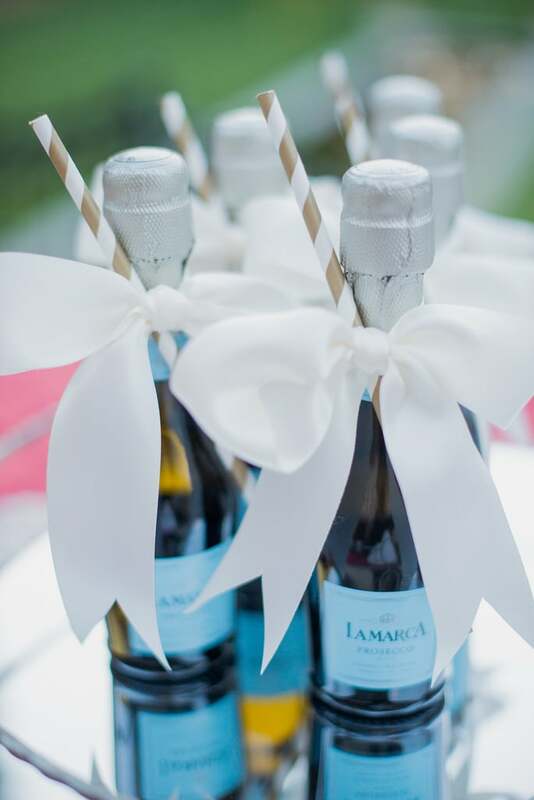 Let your guests assemble their own favors and get a sweet treat while they're at it. 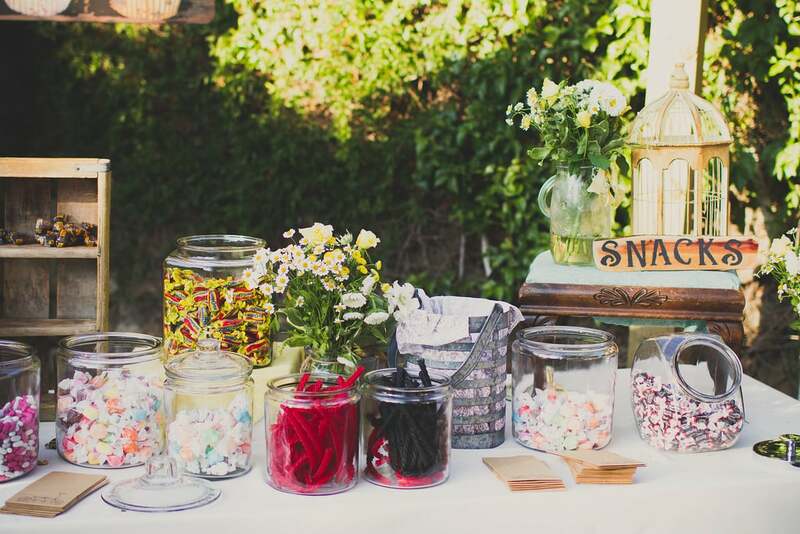 Bulk candy is often less expensive than personalized gifts, and you can still make it special by buying candy in your wedding colors or offering your and your partner's favorite varieties. If you or a willing friend or family member is crafty, then you could save a bundle by making and assembling your favors. 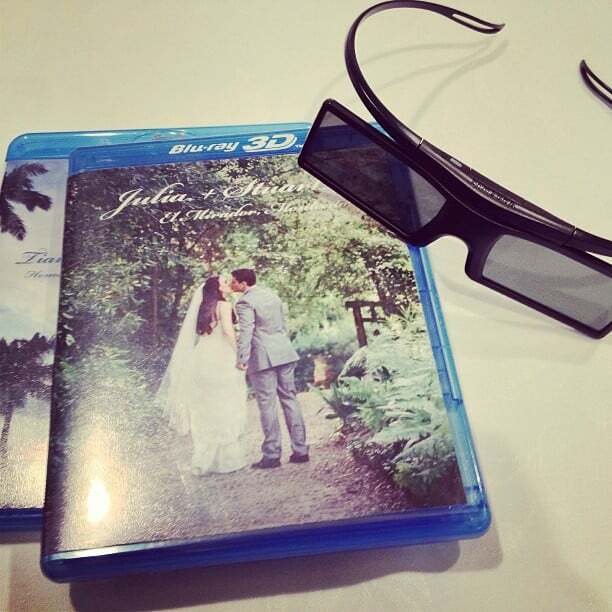 A simple and cost-effective solution is burning a couple's wedding playlist onto CDs and printing out personalized covers or labels. 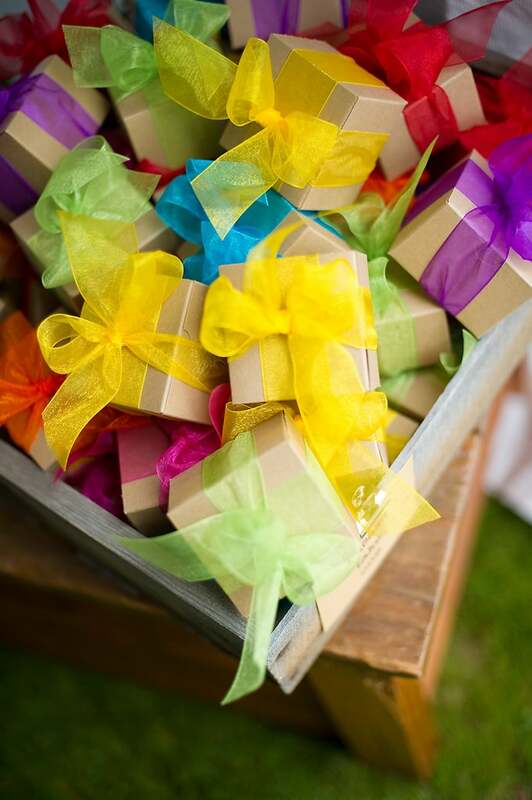 Making your own favors will certainly take more time than buying pre-assembled gifts, so make sure that the cost savings outweigh the amount of work you will need to put into them! 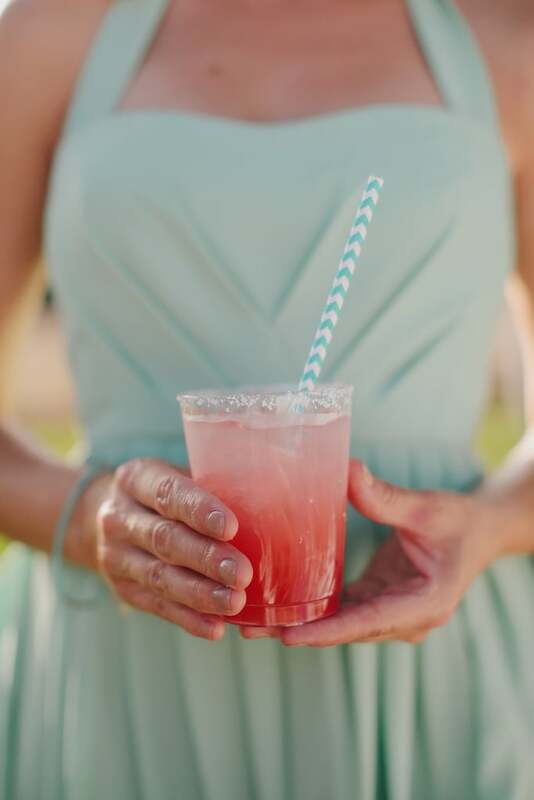 Give your guests a taste of your personality as a couple by serving a signature drink or two. You'll limit the amount of alcohol imbibed since you can incorporate inexpensive mixers, and you can choose a less-expensive brand of alcohol. 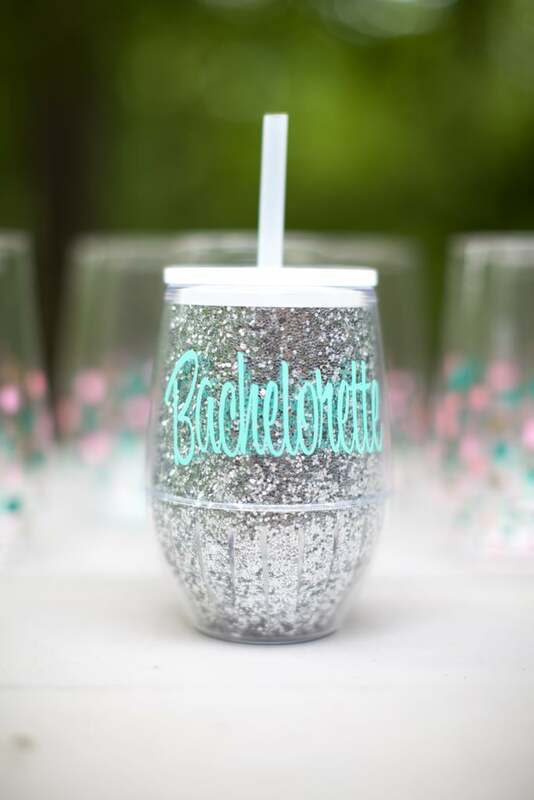 Not only will this selection help you stick to your budget, but also, your guests will enjoy learning more about you through your drink choices! 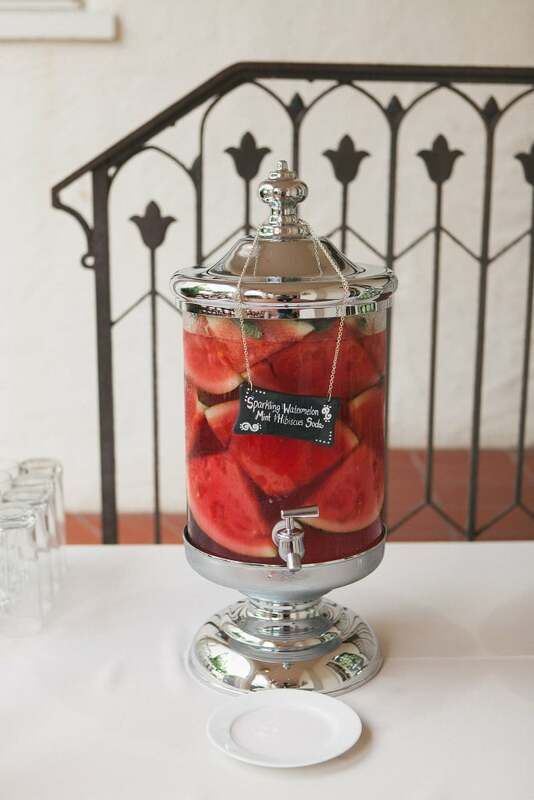 A serve-yourself cocktail bar lets you control the amount of alcohol your guests consume when you provide dispensers with a couple bases (say, a raspberry lemonade vodka mixture). But give them plenty of fruits and other fun mixers to create something unique and their own. 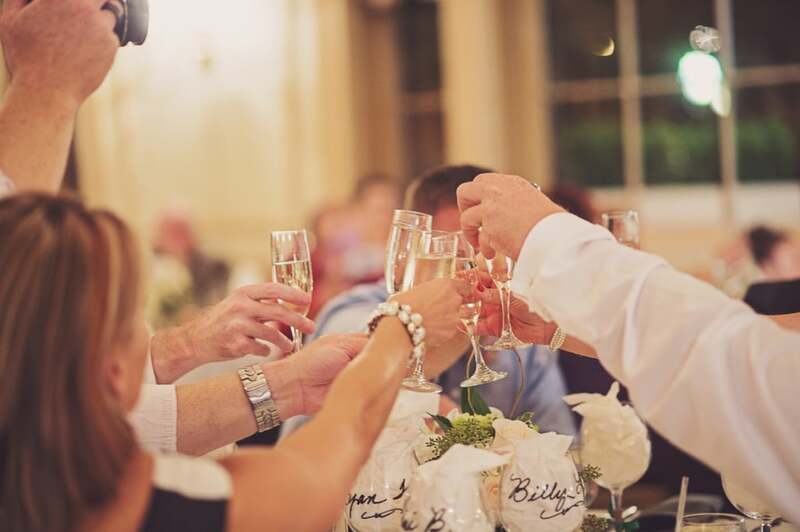 Opt for an open bar during cocktail hour, but switch to wine and beer during dinner, cutting down on the cost of expensive liquors for the rest of the reception. 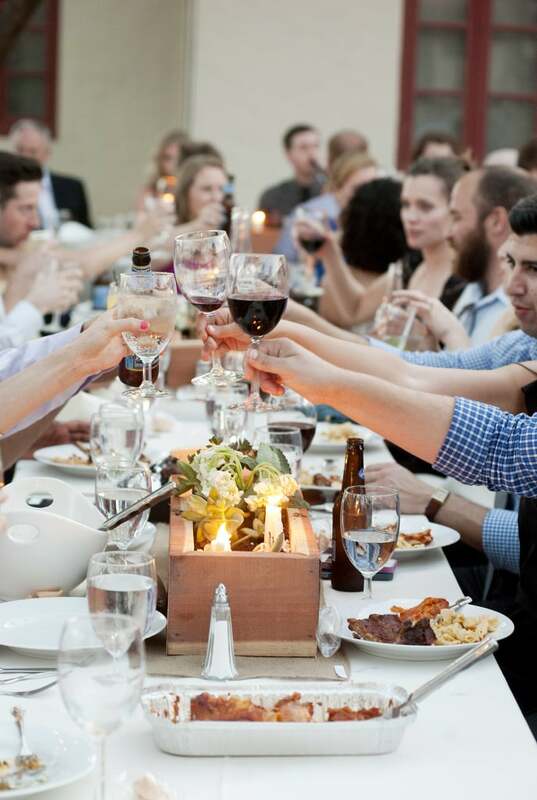 Let your servers pour the wine throughout the night so guests are more apt to drink only what they need. Leaving wine bottles on the table encourages diners to pour impulsively, leading to more alcohol consumption overall. 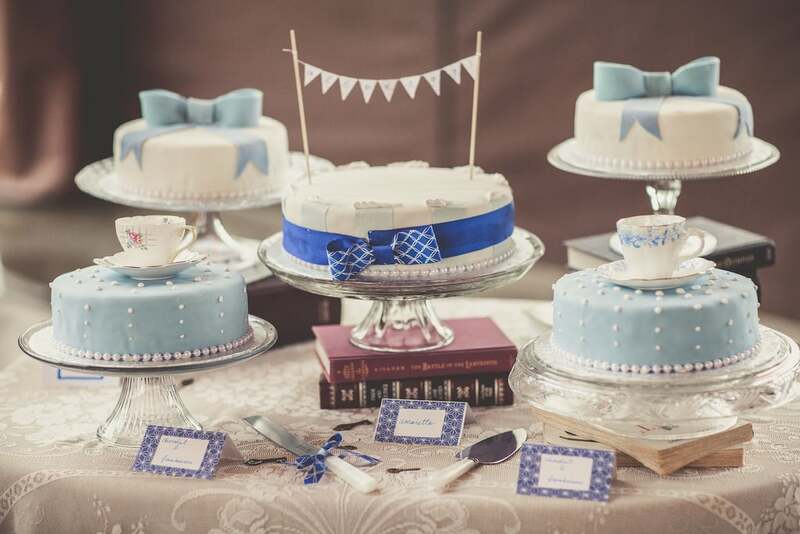 Deciding if children should attend is always a conundrum, but if budget is a concern, then check with your caterer. Many catering companies don't charge for children's meals, so ask what their "cut-off age" is for kiddies, and let that inform your decision. 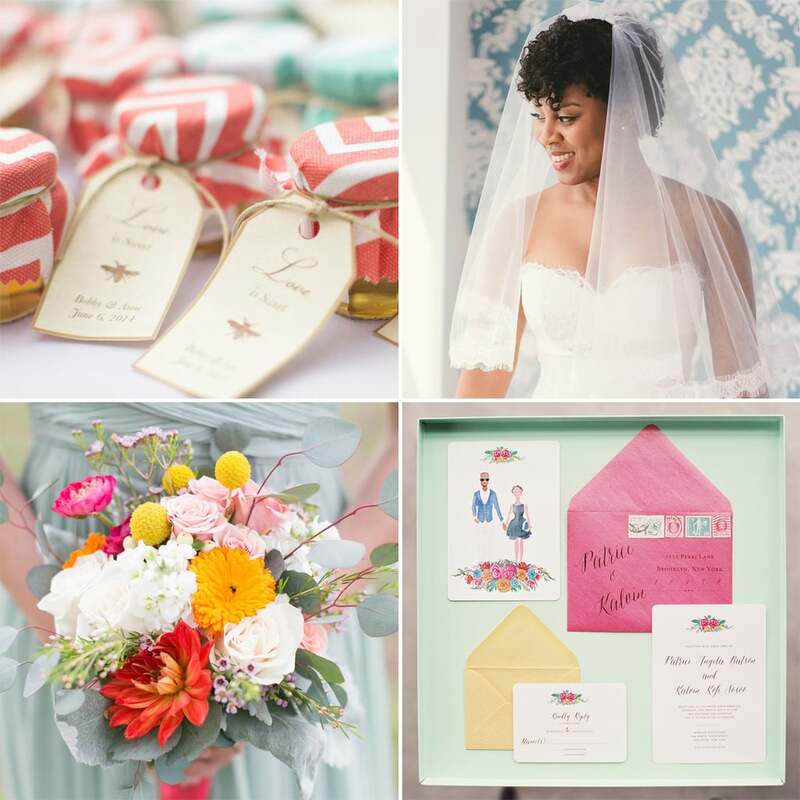 Consider repurposing certain facets of your wedding day as favors. 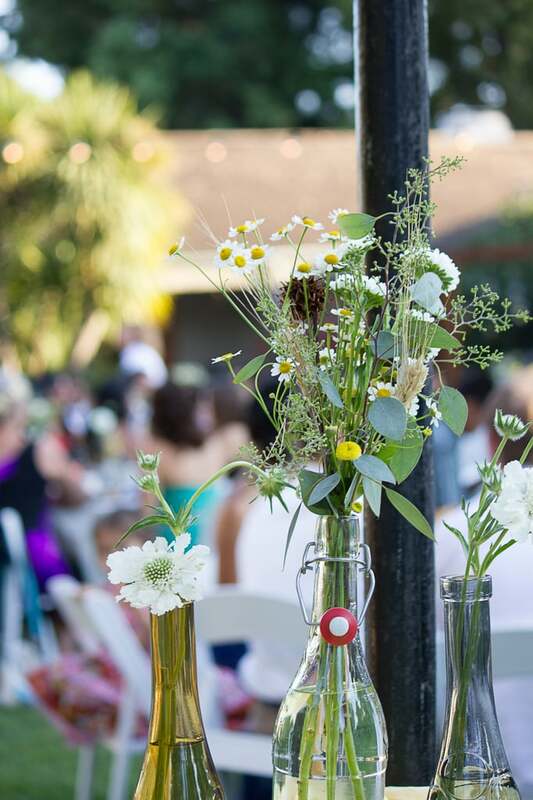 A grouping of bud vases with tiny flowers makes for an interesting centerpiece, and guests can take one home at the end of the night. 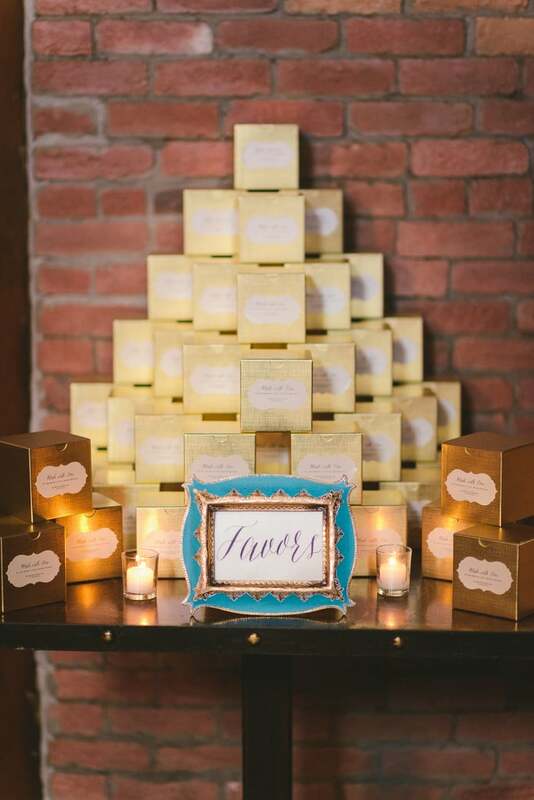 Or serve slices of wedding cake in pretty cardboard boxes with a message of thanks attached to each. Heck, consider copy one bride's idea of reusing her and her bridesmaid's bouquets as centerpiece displays! For something more elegant than a barbecue but not as expensive as a huge dinner, host an afternoon tea, complete with light lunch fare (who doesn't love tiny sandwiches?) and sweets. 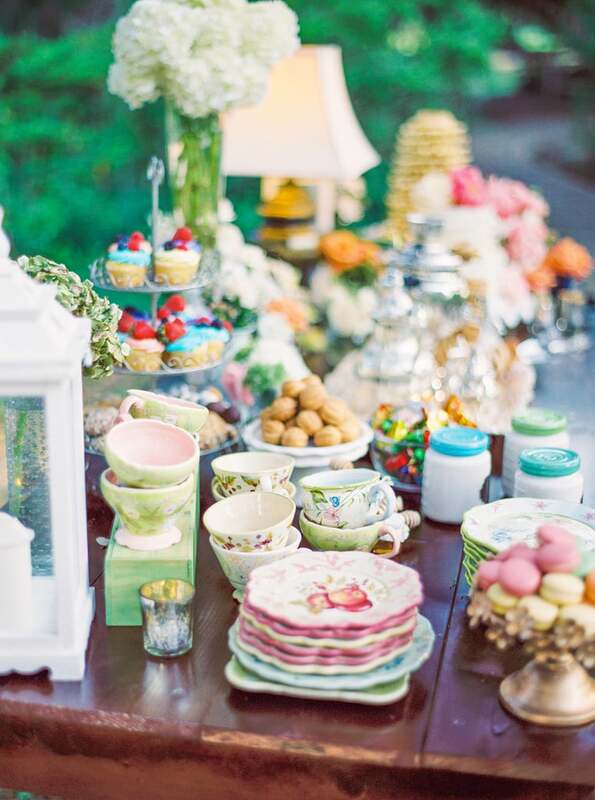 Trust me: an afternoon of tea will cost far less than a night full of wine, and it's kid friendly, too. Don't splurge on those Jimmy Choos. Explore brands that are good for the wallet yet stylish. Check out outlet malls and discount department stores, but definitely keep comfort a priority. 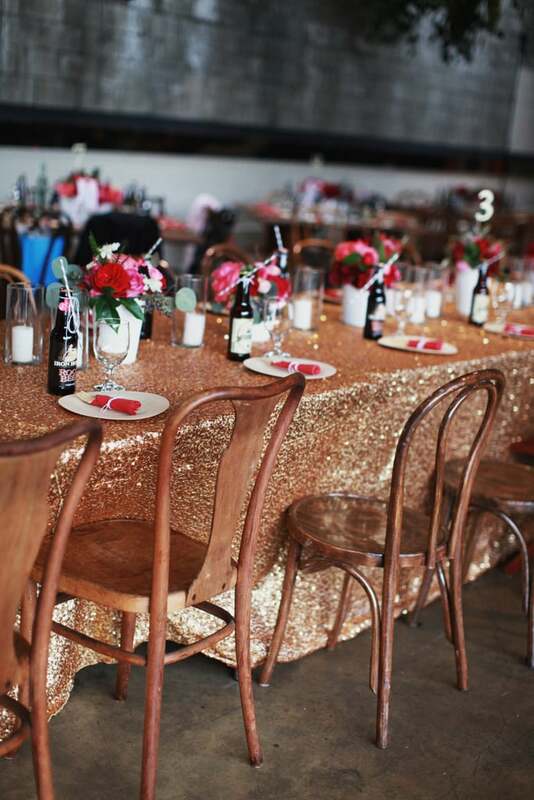 A blank-slate reception hall will most likely be cheaper, but once you consider the cost of decking it out to your liking, are you really coming out ahead? 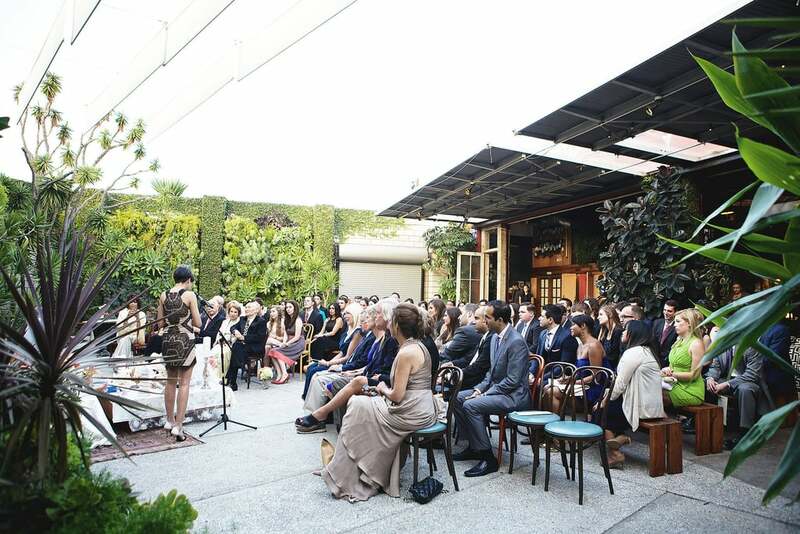 Although the venue rental fee may be higher, a spot with natural beauty will save you time, energy, and money in the long run. 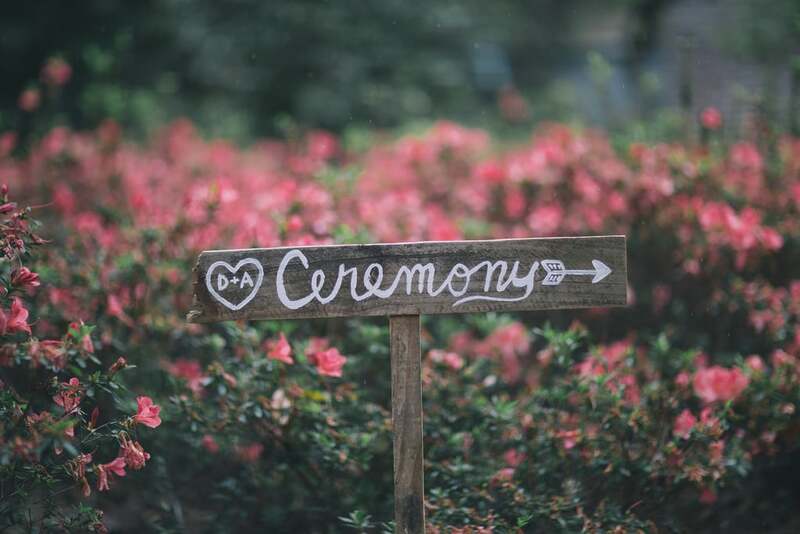 Hold your ceremony and reception in a garden filled with flowers and trees, and you won't have to think much about decorating the space. Look for historical sites to host your reception. You might be able to claim the facility cost on your taxes. 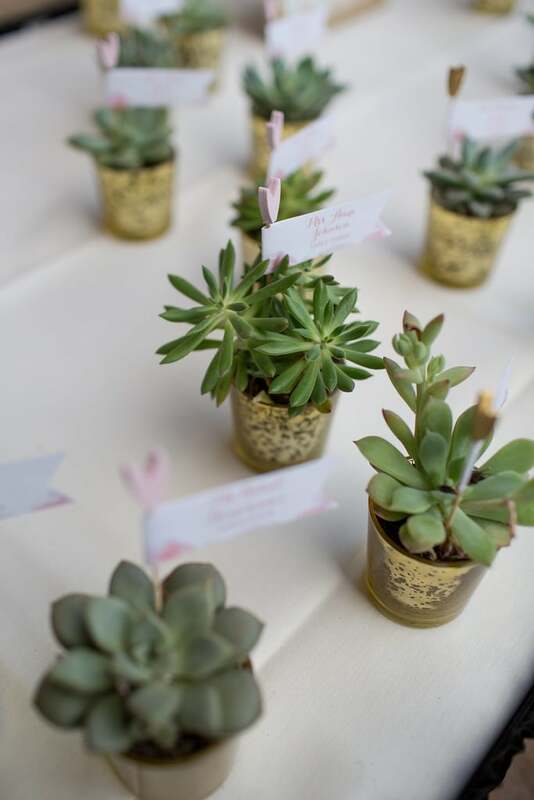 Grow your own succulents and use them as displays and favors for guests to take home. It's a gift that will keep on giving! 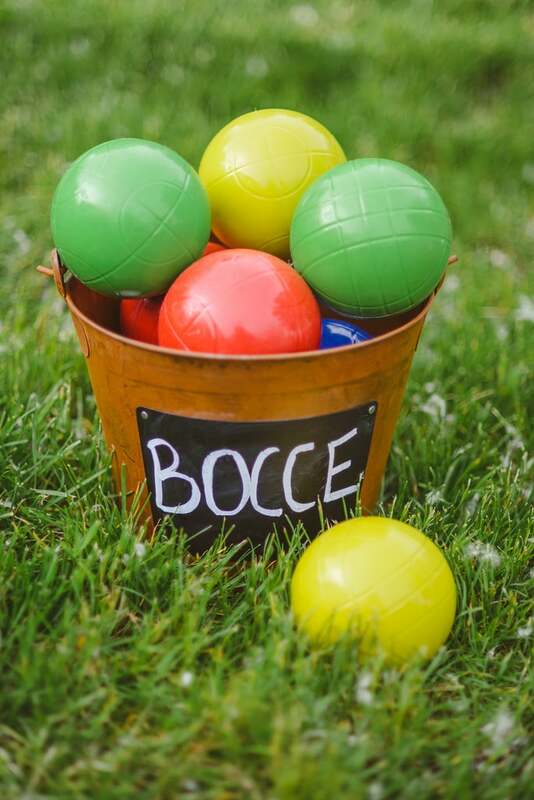 Check out alternative ideas for the toss tradition, such as fabric poms, bubbles, sparklers, and flower petals. Plan a route through places you've never traveled to. Indulge in spontaneous stops in unusual towns, and plan a couple days in the bigger metropolitan areas to give yourselves time to explore. Play road-trip games and have heart-to-heart talks about your goals and dreams for the future. Save the dates for weddings are important; your guests need to plan ahead, but it is a fact of life that most will end up in the garbage. I know I have received some expensive save the dates like magnets and elaborate paper invitations. To keep the cost down, make your own postcards. Use a picture of something meaningful, like the place where he proposed, and combine it with a vintagey Martha Stewart postcard template for the back. Find a local, inexpensive printing company for production. You should be able to get a good price on it, since you created the design yourself. 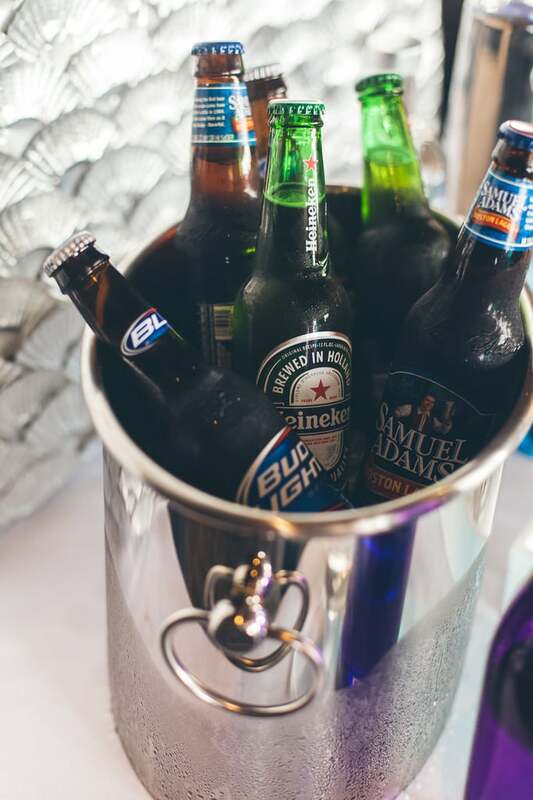 Mixed drinks with expensive liquor can really add up, so give your guests a choice of wine or beer to sip throughout the night. If your guest list is ever-expanding but you can't bear to leave out your postman and dog groomer, then look at cutting back in other areas. 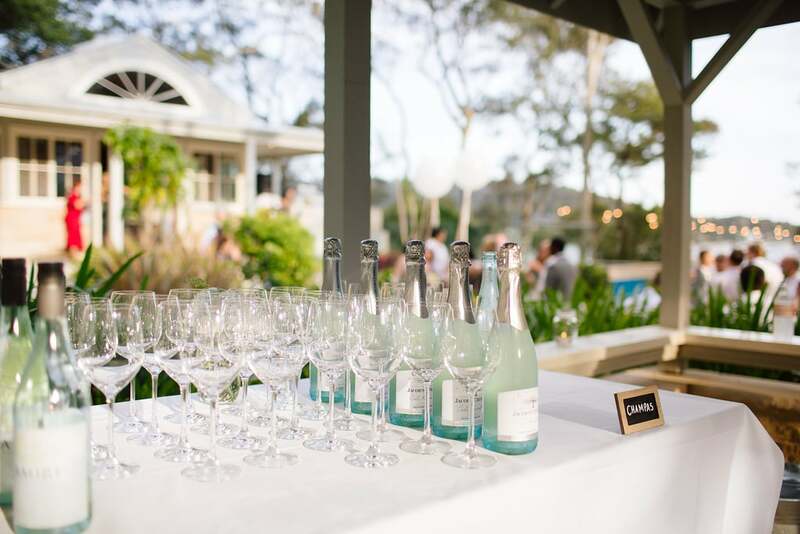 Limit your bar to just beer and wine, or plan a laid-back picnic atmosphere to cut down on rental costs. 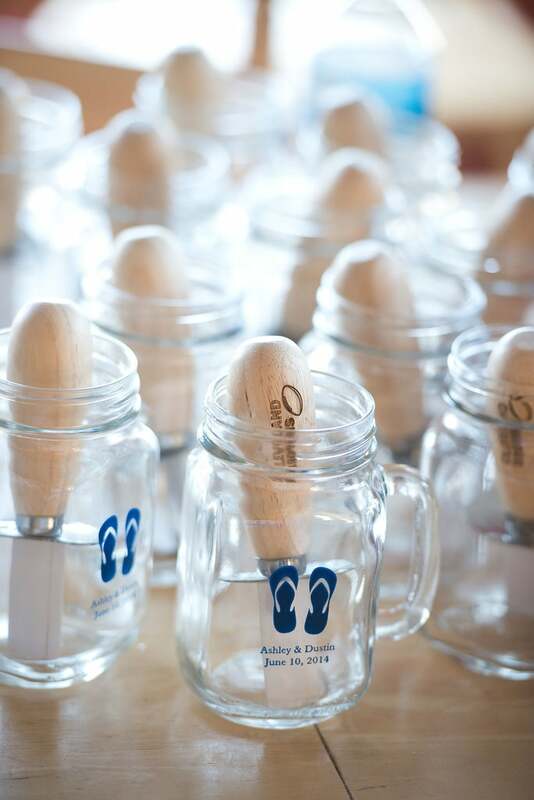 The best favors are not only personalized, but also useful. Edible gifts tend to be popular, but think about other items that represent your and your partner's interests and could be useful to a guest. All that money you saved on favors won't make a difference if they are all left behind on the table! If you're buying online, then total up the shipping cost before you click the purchase button. Even though you may be getting a steep discount on the merchandise itself, the shipping costs could make your order more expensive than buying it locally. On the other hand, some online vendors don't charge sales tax, a perk that will bring down the overall price. Use inexpensive blooms like carnations or baby's breath, or use succulents or potted plants. Skip big table arrangements and orchids. 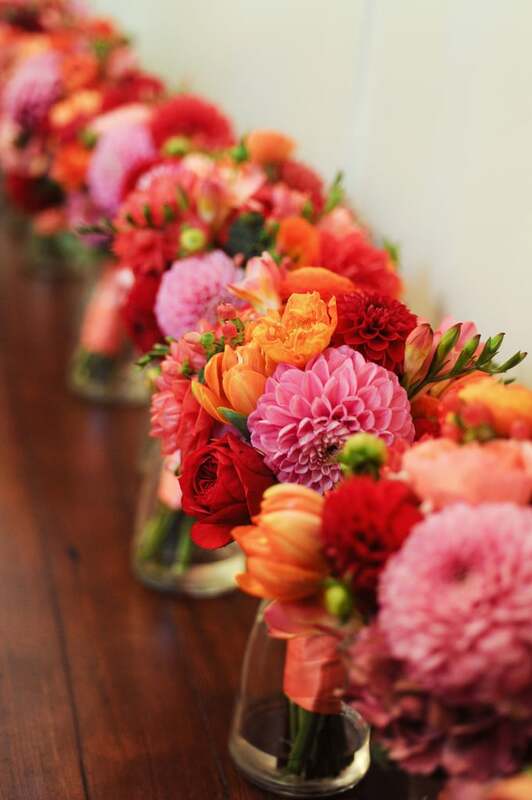 Get in-season blooms, and focus on fun colors of common blooms instead of expensive flowers. For budget- and eco-smart vases, hollow out fruits and vegetables for inexpensive vase alternatives. Pumpkins, watermelons, squash — they all work great! Consider doing a work trade with a local florist or flower farmer. Enlist the whole family to make things manageable. Ask your sister who loves baking if she'll make your cake or your uncle with that beautiful barn if you can use it as your venue. If you don't belong to a religion or aren't religious, then ask a friend to officiate the wedding to save on the cost of hiring a priest. It'll feel more personal because your friend will know you better than the priest. The online "ordination" for your friend is also simple to do and inexpensive. 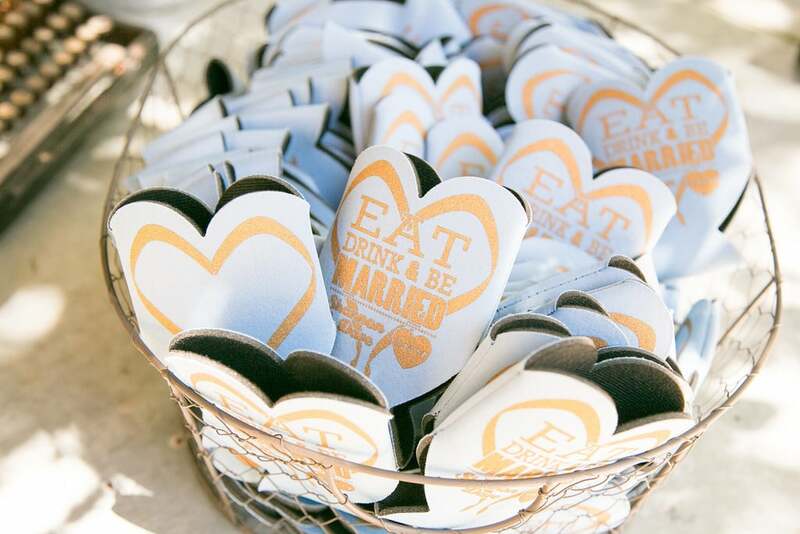 Some of the best weddings take place in the couples' favorite restaurants. 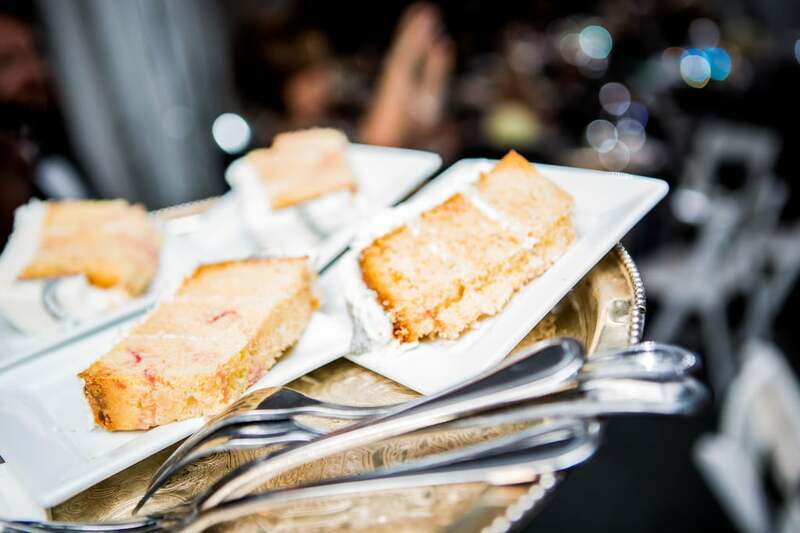 It's more affordable than you might think, and you'll often pay a flat fee for both the venue and the food. 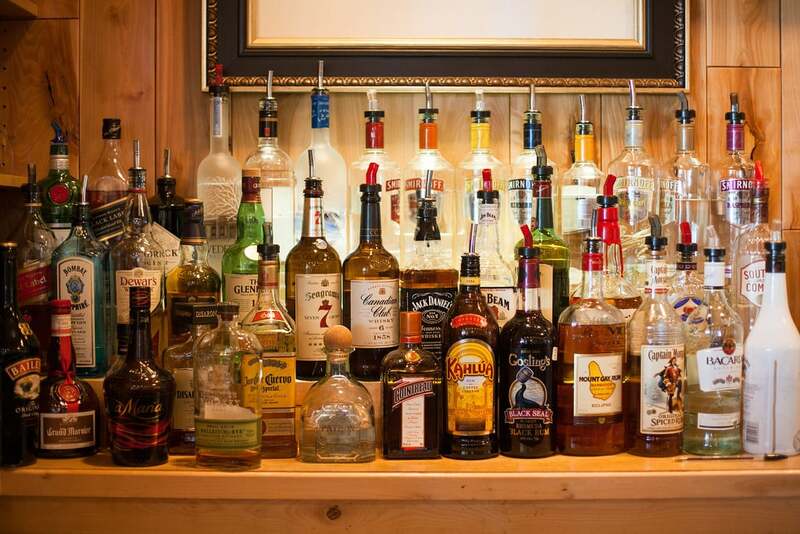 Some bars and bartenders get deals on certain types of liquor — savings they can pass on to you! 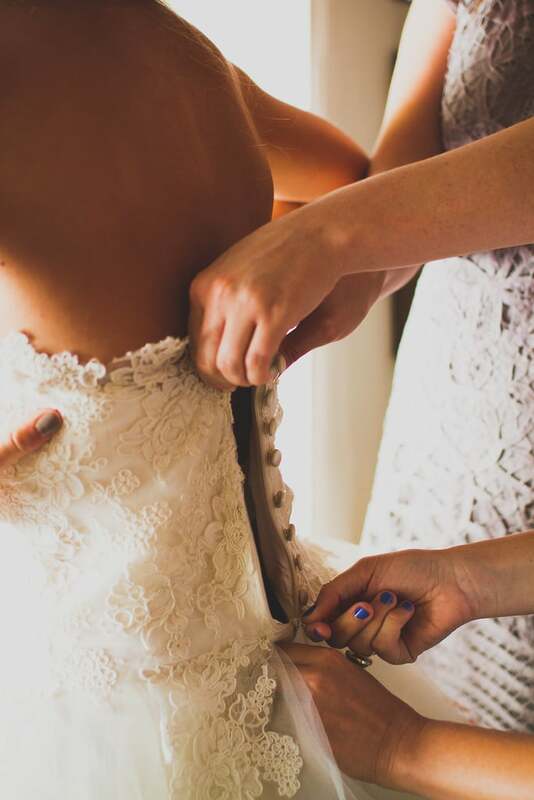 Alterations can get really pricey! Don't buy a dress just to have it changed completely later. 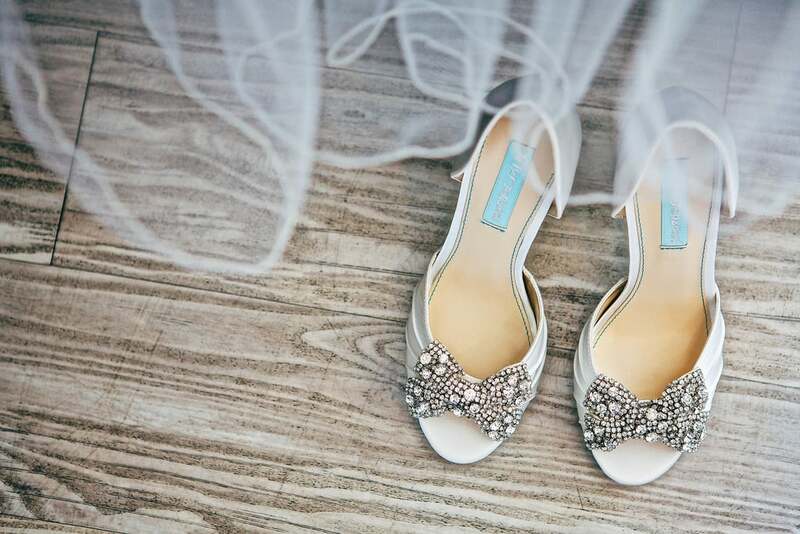 And remember to schedule your fitting close to your wedding date if you're planning on losing weight so you don't have to make repeated alterations. 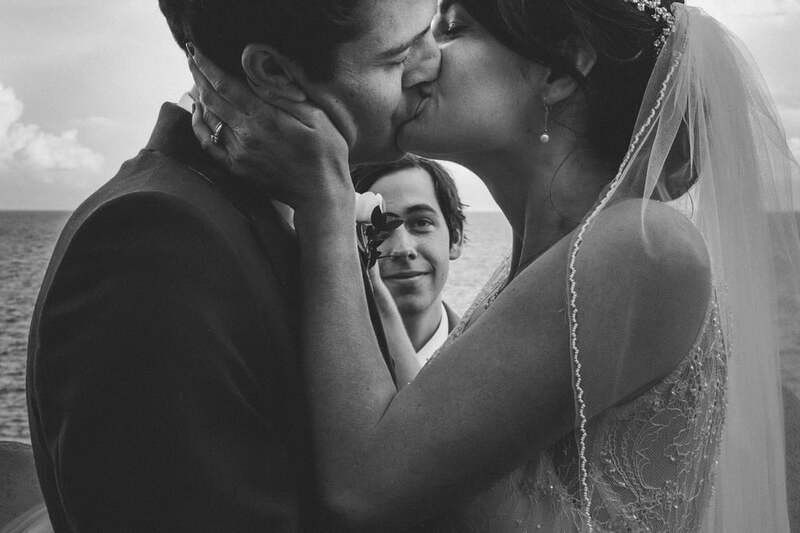 To slash your photography budget even more without losing out on documenting every minute of the day, hire a professional photographer just for the ceremony (and the group shots immediately before or after). 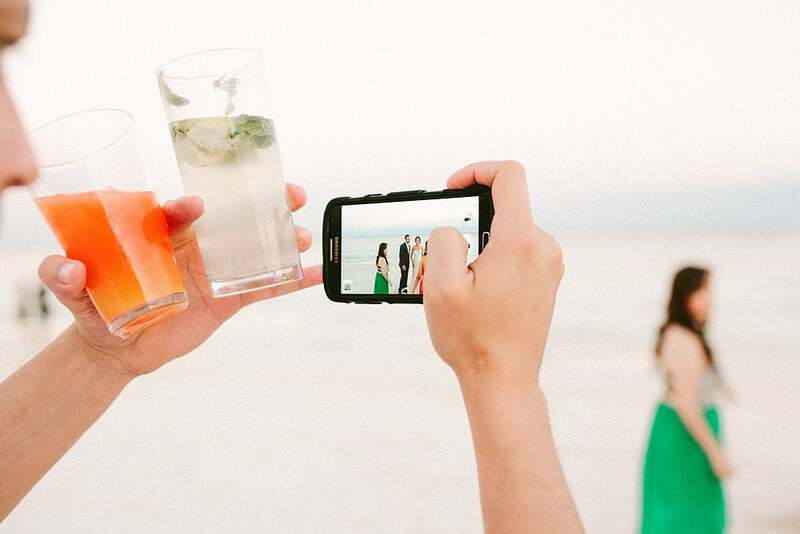 For the reception, use the old disposable-camera-on-the-table trick and let your guests be your photographers. Sure, they may not be pro-looking, perfectly staged shots, but you'll get amazing candid photos of moments that a professional may have missed. To skip the high costs of a morning-after breakfast, make a simple and signature meal like muffins with jam. 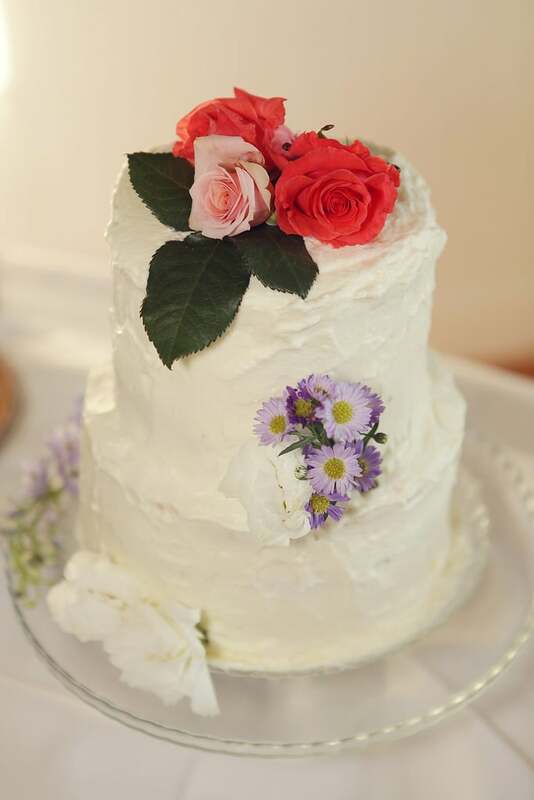 Instead of intricate flowers made from fondant or icing, consider decorating the cake with real flowers, perhaps the ones you're using at your wedding. You can get a smaller cake or have a few fake layers made of cardboard or styrofoam while you cut up and serve sheet cake that's cut out of sight with no one the wiser. Many bakers provide this option, so you should definitely ask them about it. Give your bridesmaids flexibility to choose a dress that works with their budget and body shape. You can pick a color and style requirement, such as a long purple dress, but let them choose a dress that they feel good in. If they are paying for the dress, then it's not fair to make them pay for a gown they will only wear once. 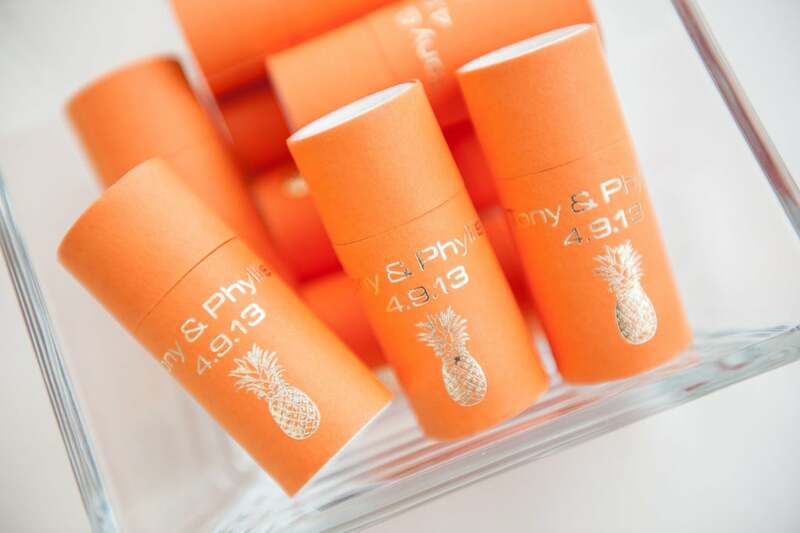 See if your stationery vendor offers discounts for printing the entire suite of wedding paper products through them. 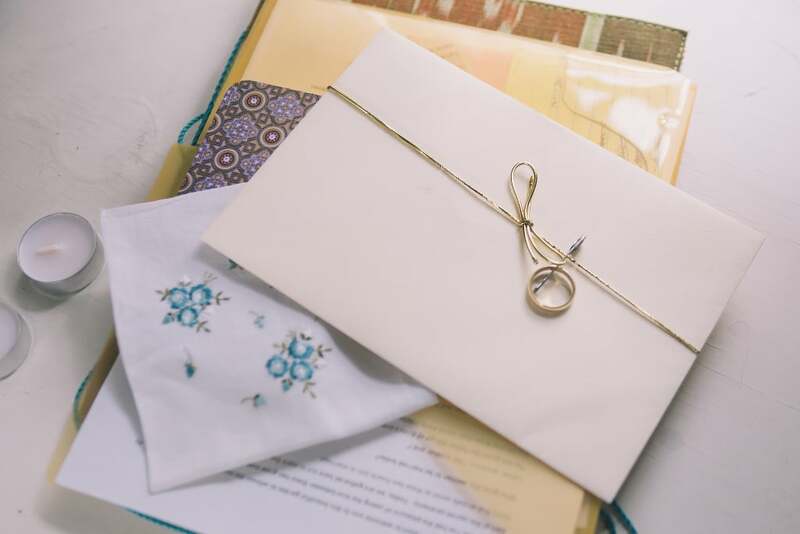 Many brides think only about the invitations themselves, but save-the-dates, programs, table cards, place cards, and thank-you notes are other potential needs before, during, and after the event. Plan ahead, and have one vendor print everything at once. 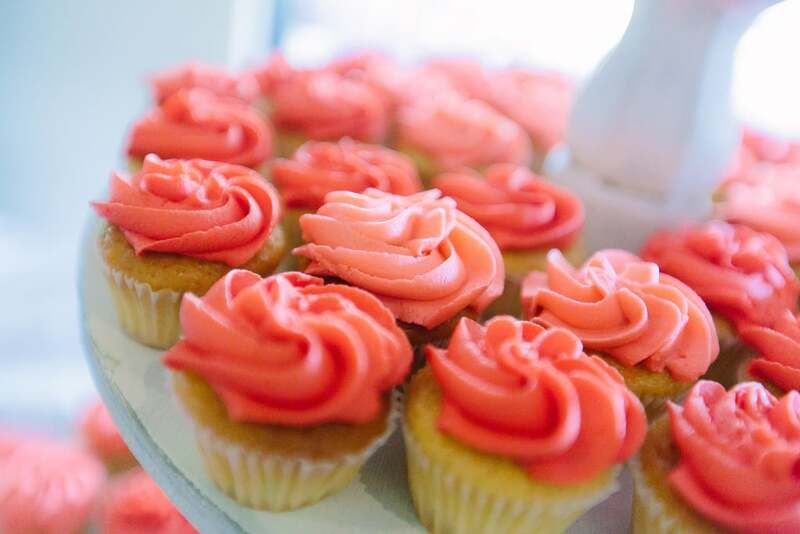 The popularity of cupcakes has prompted many couples to serve them at their reception. 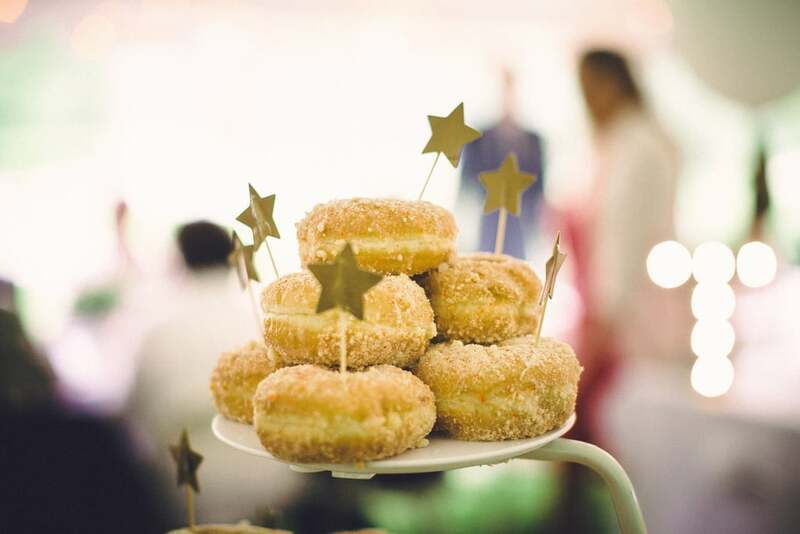 While it's hard not to love the tinier bites of cake goodness, it's not all fad: cupcakes, doughnuts, wedding cookies, and even dessert bars are often less pricey than extravagantly iced tier cakes. 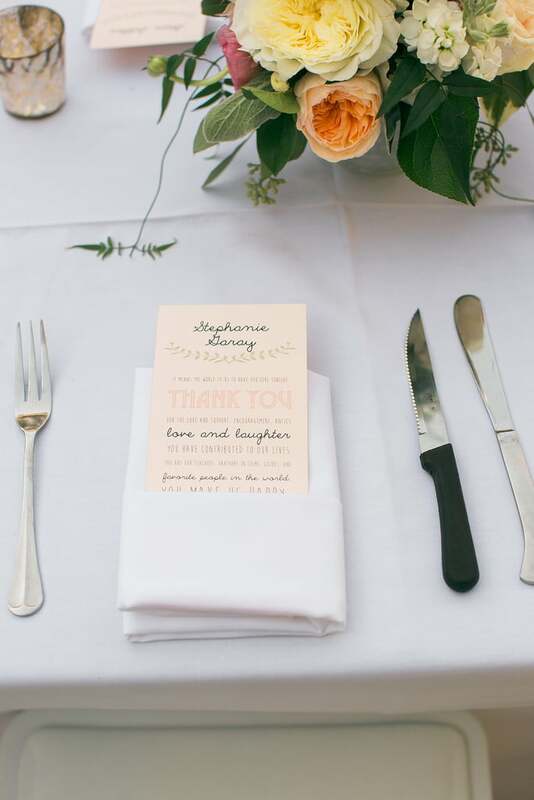 Do you really need individual place cards? 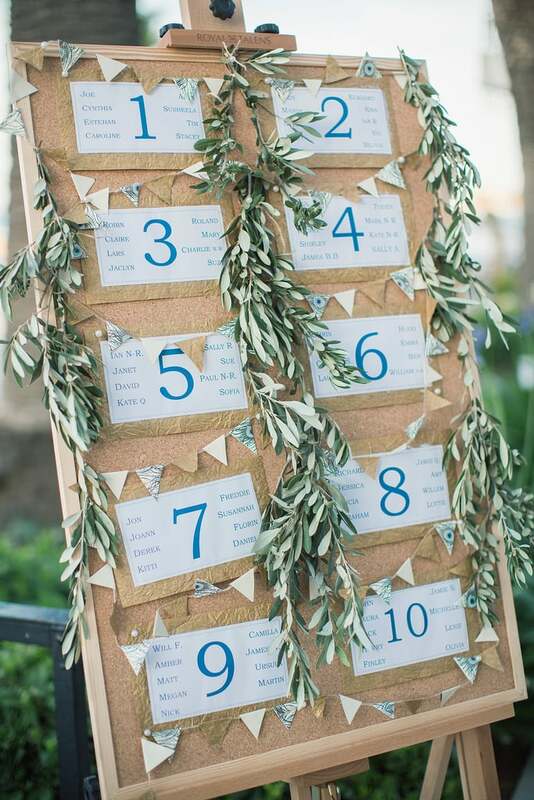 You can opt for a beautifully printed table-seating chart near the front door of the reception hall to list table assignments for guests, and it will undoubtedly save gobs on materials and printing. 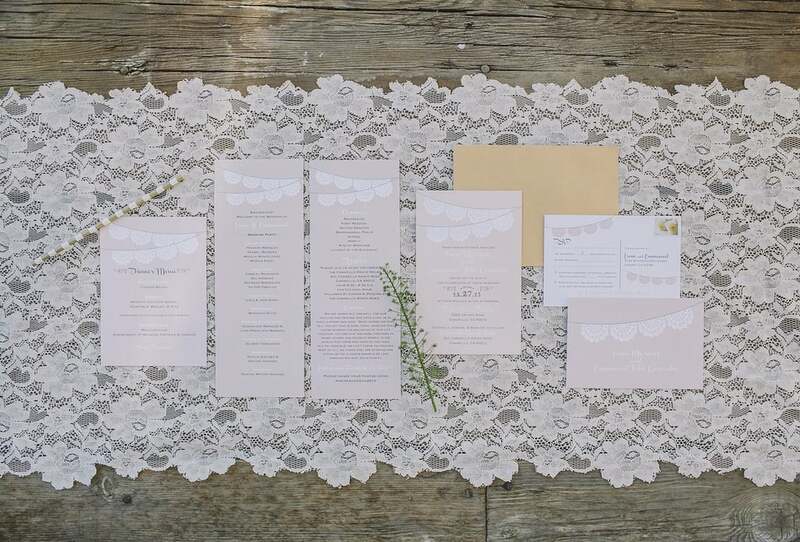 These days, invitations really don't need two envelopes, and multiple cards for the ceremony and reception details can often be overwhelming (and easy to lose). 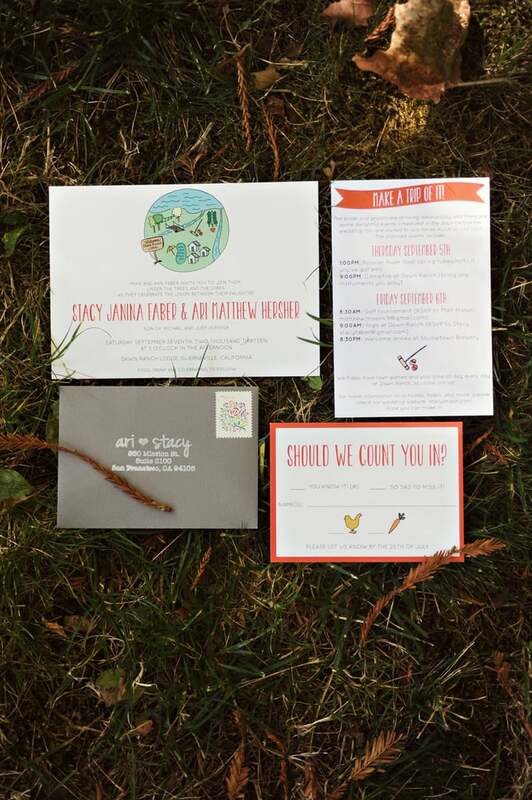 Consider a postcard for save the dates and response cards so you don't have to pay for envelopes. Buttercream frosting is cheaper than fondant and tastes even better! 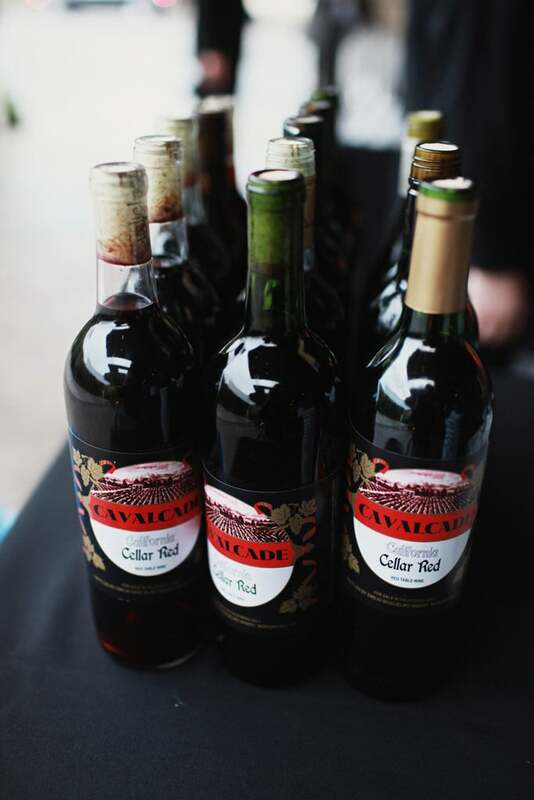 Some venues will allow you to bring in your own wine and beer (and sometimes other types of alcohol) so that you can select cheaper options. 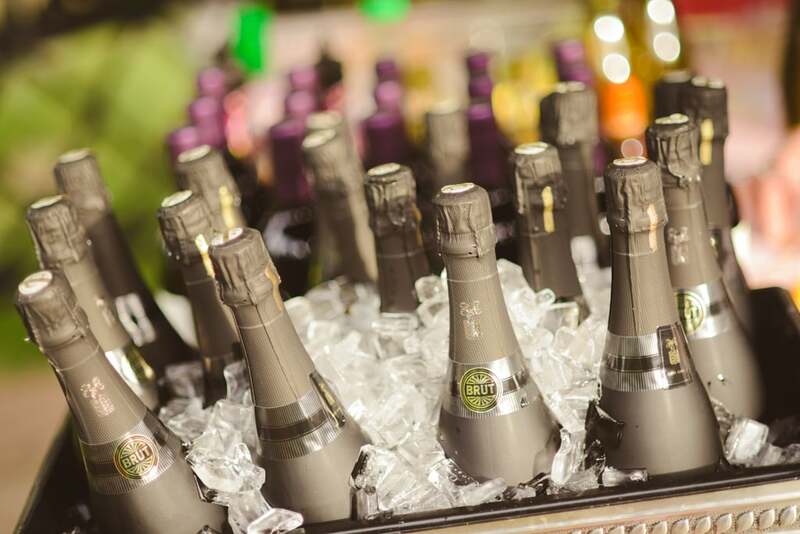 While the occasional venue will pour your booze free of charge, most will charge a per-bottle corkage fee, so be sure to check ahead of time to ensure that it doesn't eat up the difference in your drink budget. 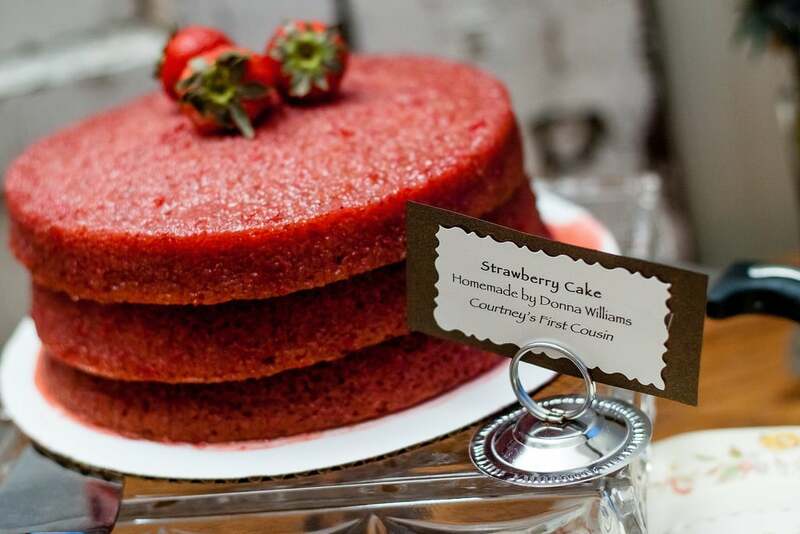 Check with your local baker or online vendor to see if the costs are cheaper that a wedding-cake-oriented shop. 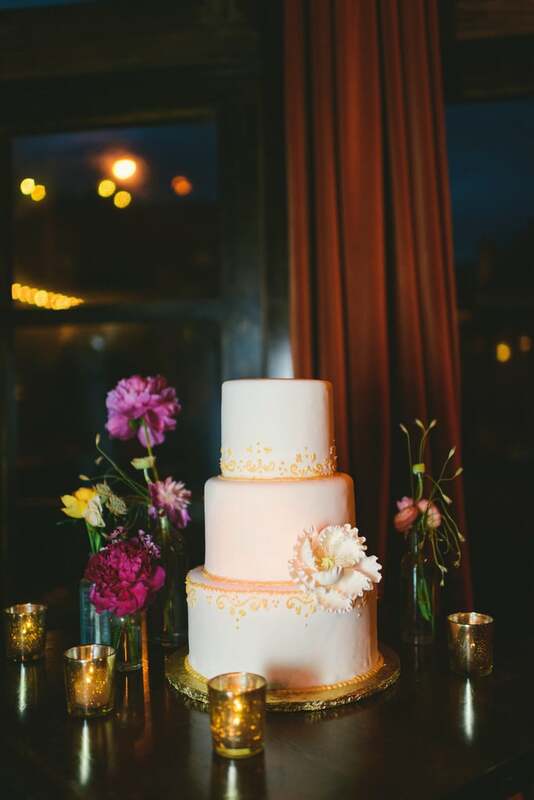 You can usually get a better price with the ones who don't specialize in wedding cakes. Those who bake from home don't have to pay the overhead costs of a brick-and-mortar bakery, so that may result in a lower cost as well. Sell your stuff! 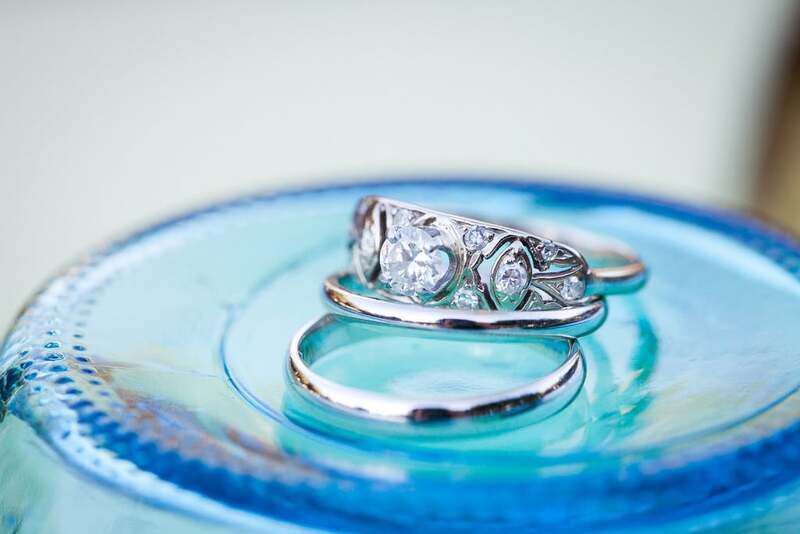 Once the wedding is over, round up anything that is still in good condition and sell it. Try eBay, Craigslist, or your local paper. You'd be surprised by how many people are looking. You can sell your arch, carpet runners, anything purchased for centerpieces (such as vases), and unused candles. Sell your wedding dress. Honestly, when are you going to wear it again? Do you really think your future daughter will want to wear it? It's a novel thought, but come on — styles change! 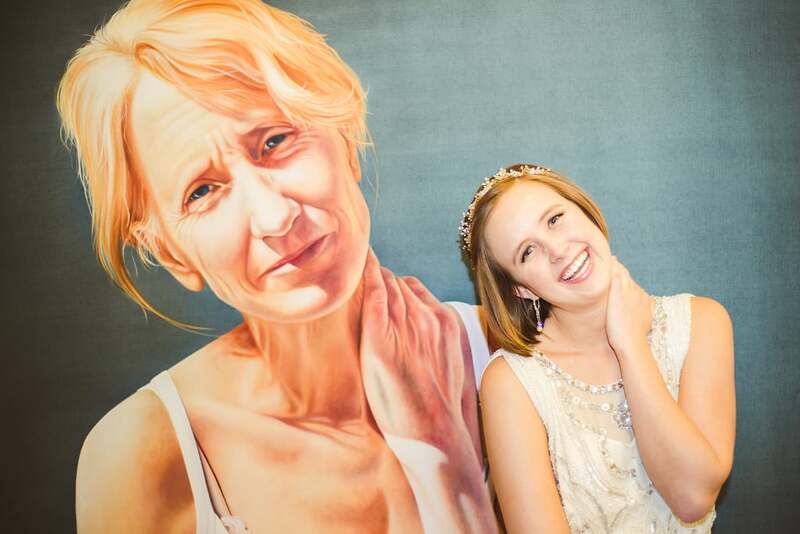 Are you wearing your mother's wedding gown? 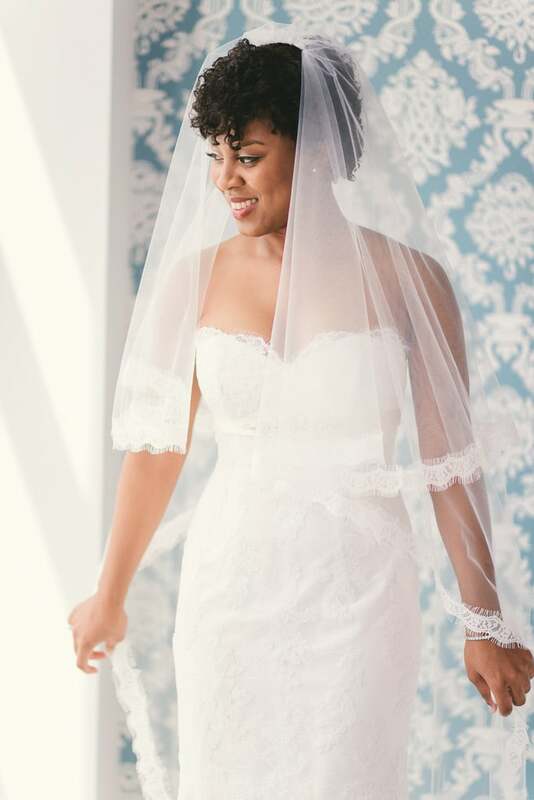 Buying a wedding dress that someone has only worn once will help you save plenty of bucks, and although it sounds like a great deal, you need to be aware that there are some risks involved. 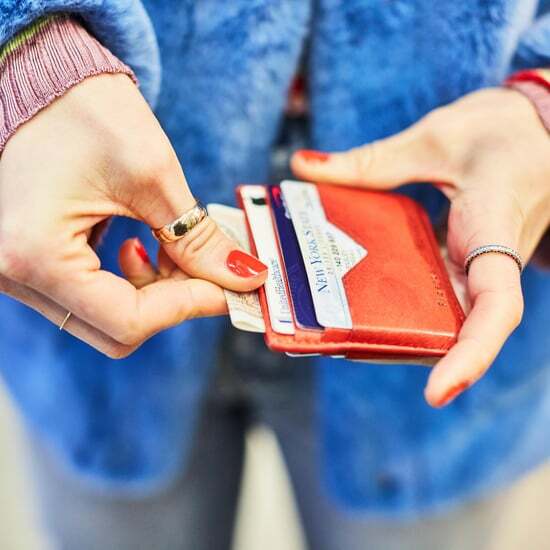 To reduce the chances of a purchase gone wrong, make sure you ask the seller these questions before whipping out your credit card. 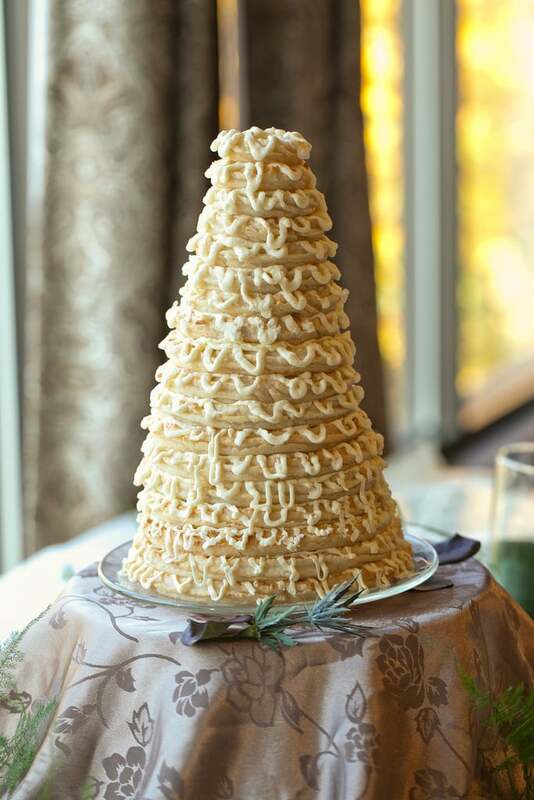 Unstacked cakes on risers are cheaper than tiered cakes, so you might want to go for that option. 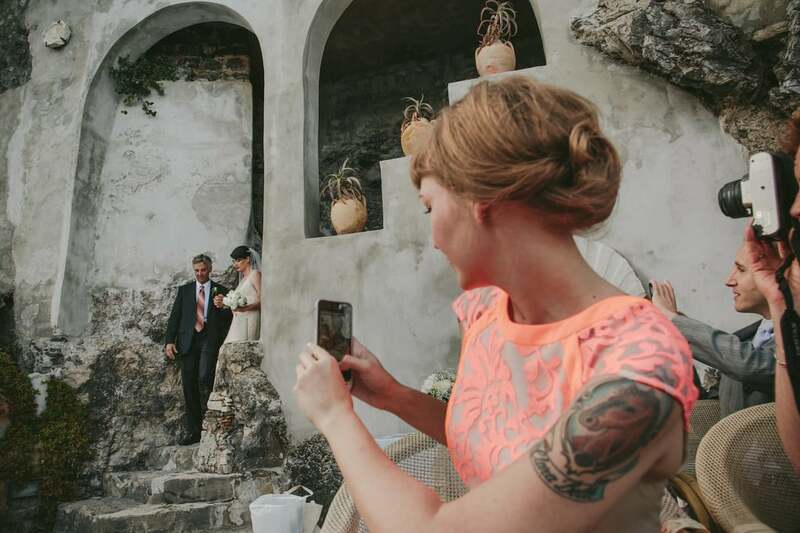 Many videographers will charge you hourly for the time they spend at your wedding. Try to limit what they're filming so you'll save money on their shooting fees. You'll also save money on editing, since they'll have less raw footage to edit. 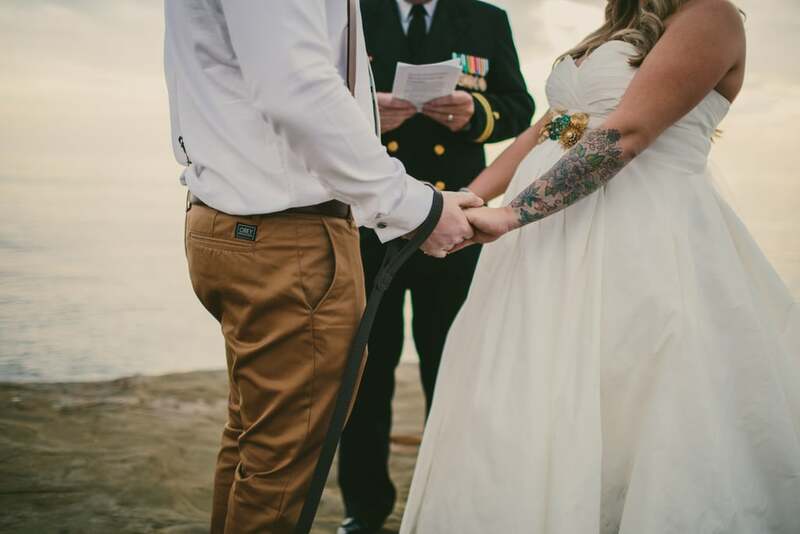 For example, tell the videographer to only film the ceremony and to avoid other parts such as your preceremony prep. 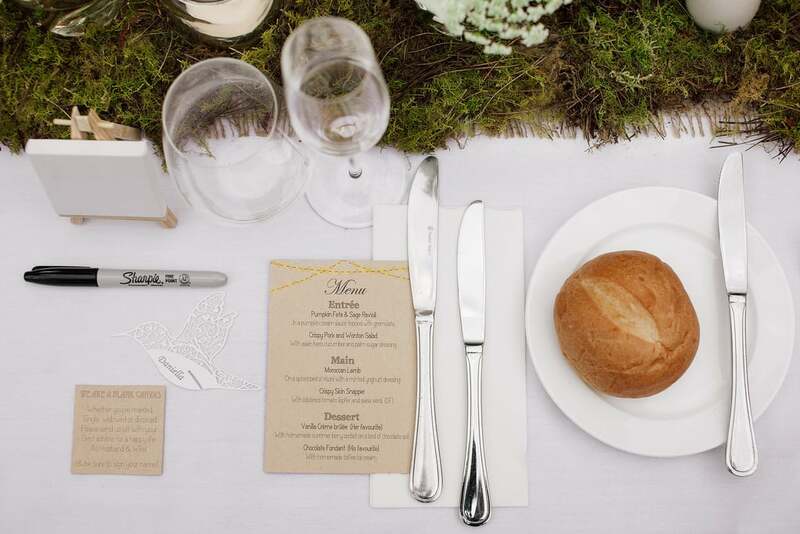 Buy your place settings at Ikea to save on rental costs, and then give them to charity after the wedding. You can also piece together items from flea markets for a more rustic and vintage look. 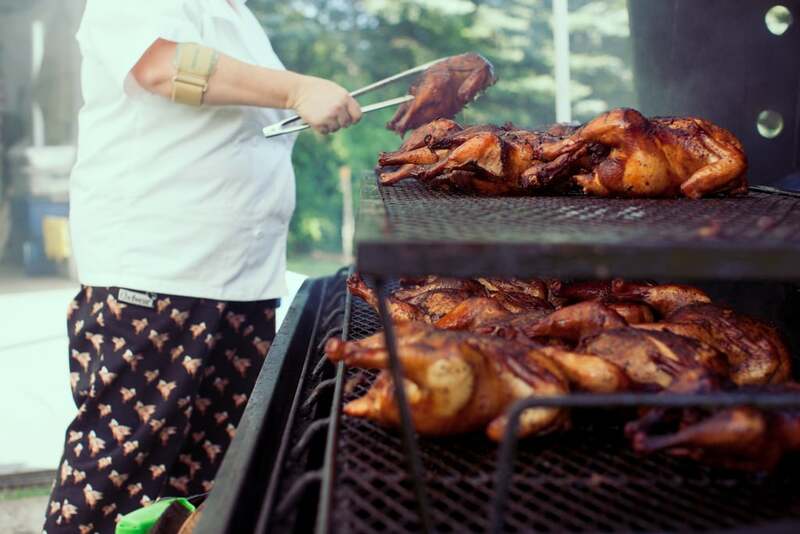 Follow the "invite every out-of-town guest" rule, but host a casual, backyard barbecue instead of a fancy dinner. Afternoon or evening, catered, home-cooked, or even potluck, a budget-minded outdoor bash will give everyone a chance to relax before the big day. When purchasing flowers, look to wholesalers or a flower farm for the best prices. Save on your dress as a wedding guest by wearing the same outfit and dressing it up with different accessories. A fun rehearsal-dinner venue would be a bowling alley. 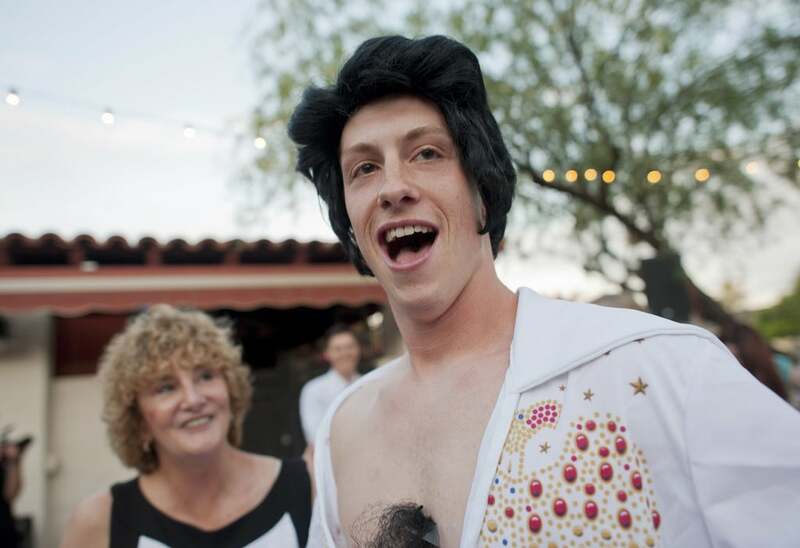 You can even offer bowling shirts for the bride's and groom's "teams." Whether you like bowling or some other activity, getting your group together over beer, bar food, and games is a great way for everyone to get to know each other. 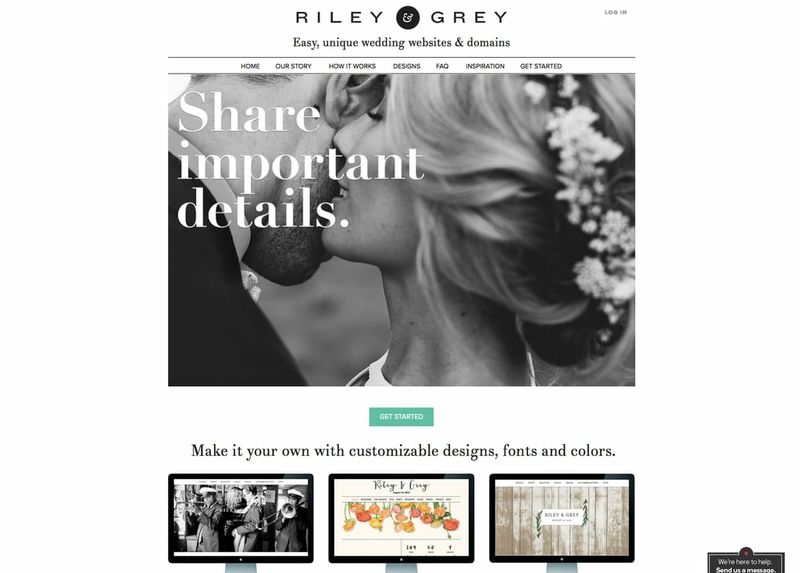 Wedding sites may have items tailored to favor-giving, but they sometimes come with a markup. Browse sites and stores that specialize in the item you're looking for, and try to think outside the box when it comes to potential deals. For example, search framing wholesalers for deep discounts on picture frames or chocolatiers for high-quality truffles or chocolate bars. Hopefully, you'll have money left over to pay for engraving or custom packaging! Be organized and use a wedding-planning checklist (here's a good one!). This way, you won't forget things at the last moment and have to pay more for last-minute prices. You can slip the checklist into your wedding binder. 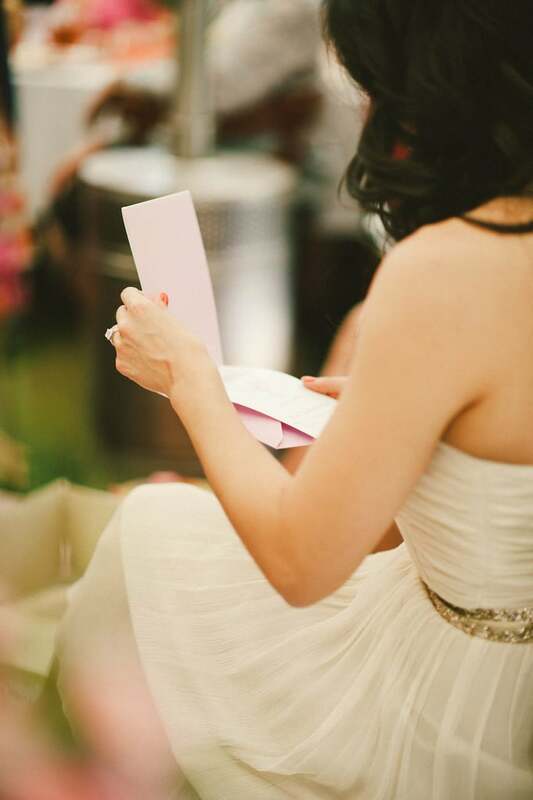 Here are tips on how to start a comprehensive wedding folder. Digital photography is cheaper than using actual film, and the superhigh-quality digital cameras out now mean you sometimes can't even tell the difference. And with the right method, the quality of your prints doesn't need to suffer, either. Find a digital photographer who's willing to give you the photos on disc, and then have the ones you want printed at a photo lab that knows how to handle digital prints. San Francisco's Photoworks, for example, turns each digital photo into an actual negative and then develops them just like regular film. 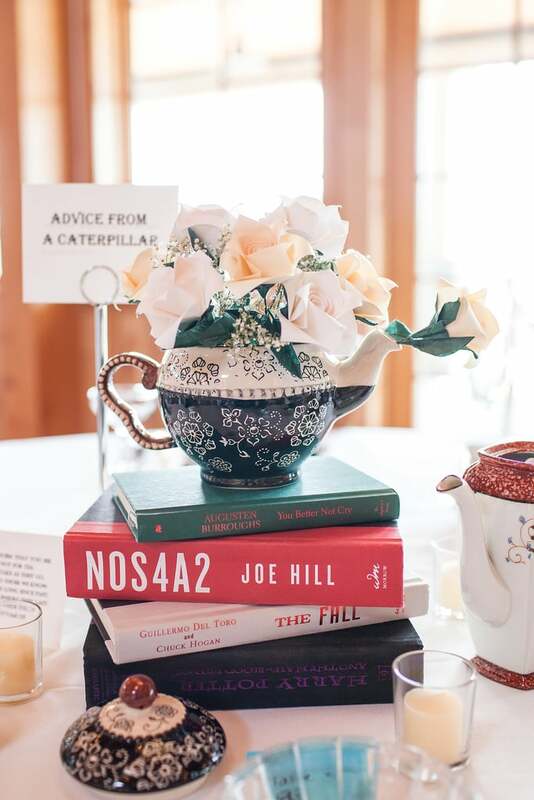 You can always go the DIY route and make your flowers out of creative everyday items like tape and old book pages for an eco- and budget-conscious move, or arrange your own blooms. 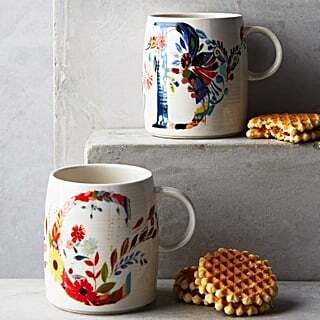 These tactics will not only save your wallet, but they will also add a really unique and creative touch to the decor. 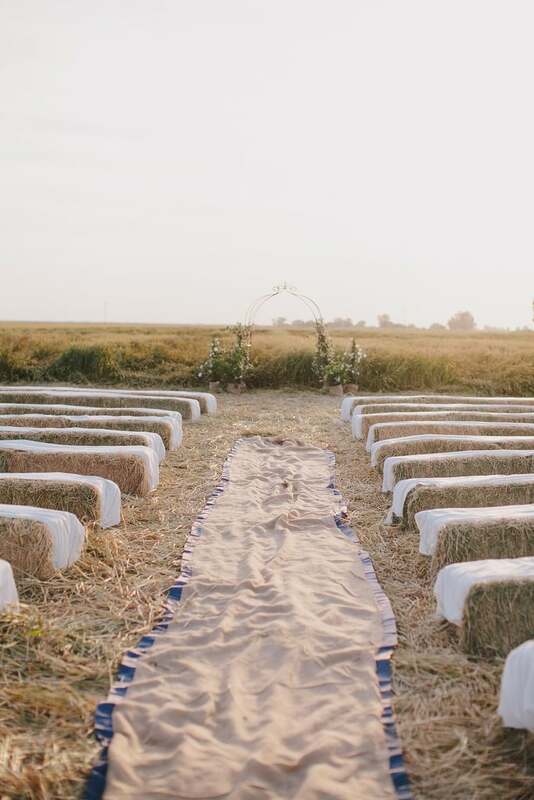 A meat-and-starch meal may be the traditional wedding route, but if you think about your and your partner's personalities, then you might be able to come up with a more creative — and cheaper — alternative. If you're movie buffs, then what about pizza? If together you've tried every burger west of the Mississippi, then assemble a choose-your-own toppings burger bar. If you throw the best cocktail parties in town, then combine cocktail hour with dinner and serve a heavy hors d'oeuvres buffet. These days, you can find just about any food in the form of a food truck. 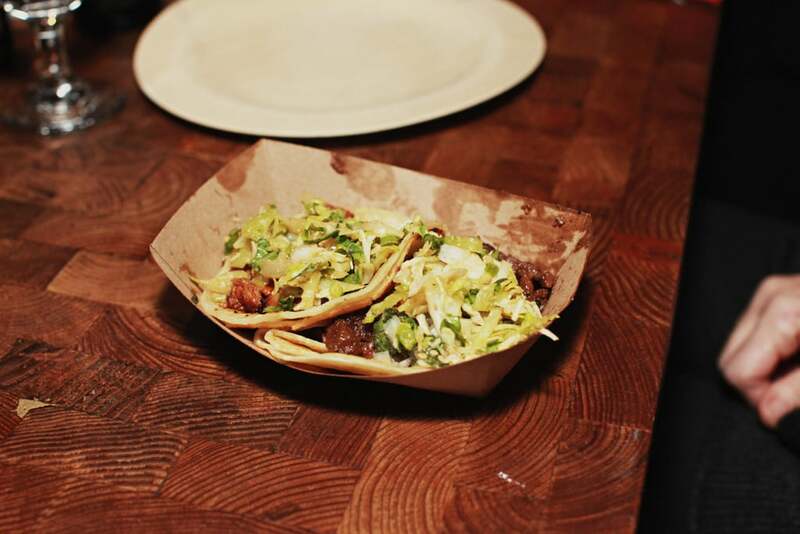 Most are available to rent for private events, so call up your favorite taco or crepe truck to check out their prices, which are usually much lower than the per-head cost of a catered meal. A sit-down dinner may seem like the only option for an elegant evening, but a buffet can still be formal. 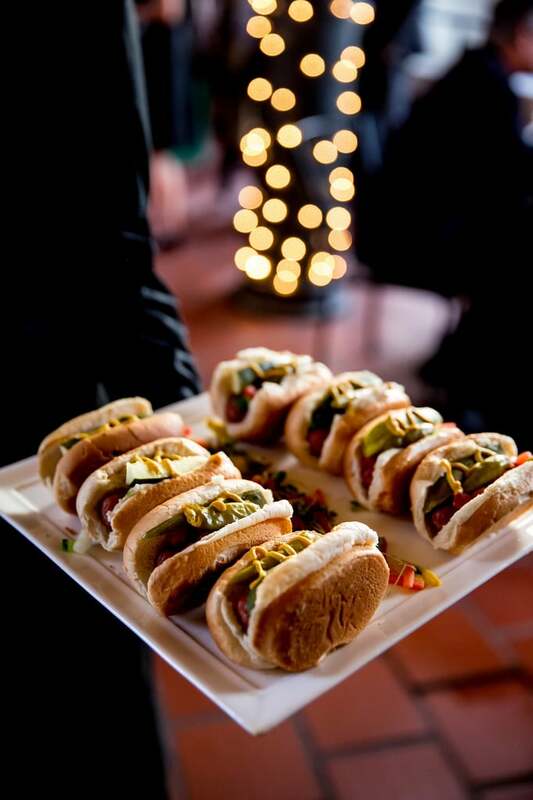 Buffets cut down on the amount of staff needed to serve dishes, and your caterer can add fun frills like made-to-order omelettes and meat slicing. 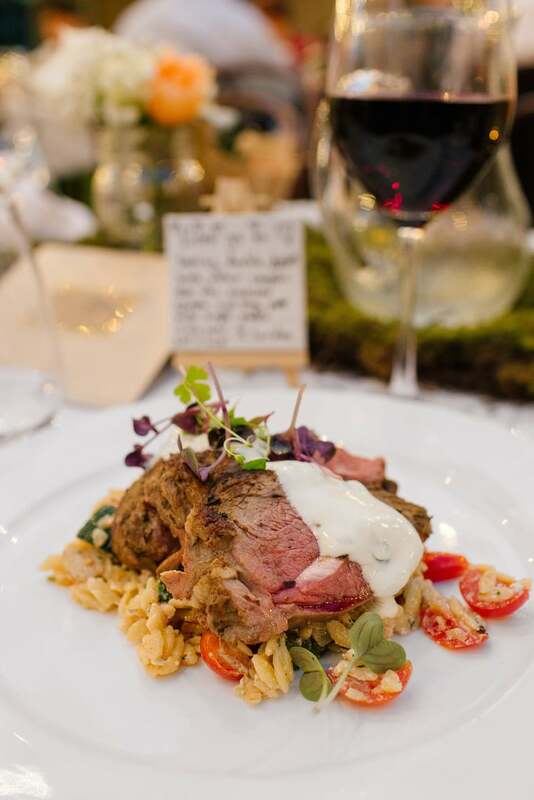 There's more of an expectation for a multicourse meal at dinner, so moving up your wedding to earlier in the day allows you more meal-planning flexibility. At brunch or lunch, guests are inclined to be happy with just a main course. The more meal options you offer, the higher your bill. Instead of providing your guests a choice between meat, chicken, and fish, choose one to serve to everyone (while providing a vegetarian option for guests who request it). 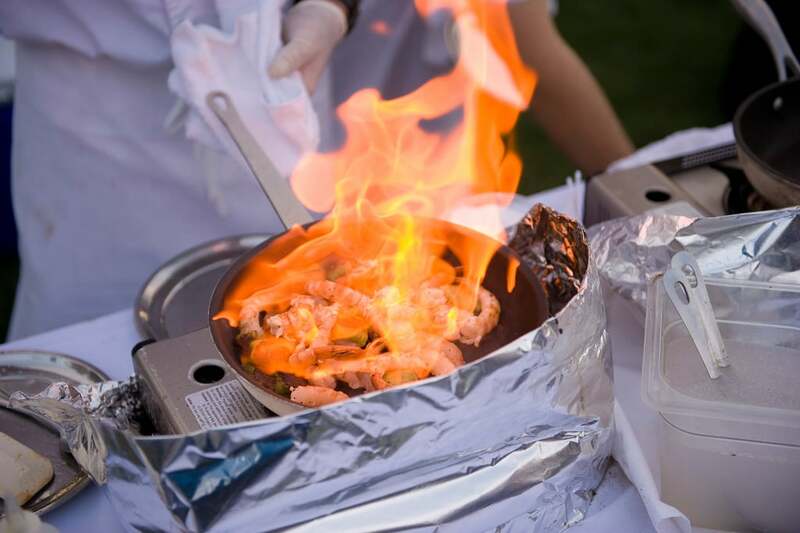 If your wedding site is near a culinary school, then investigate whether they cater or can host private events. Prices are usually dramatically lower than using a caterer or renting a restaurant, and you'll often get more staff than you would through established professionals. If you're not the DIY sort, then you can always purchase artificial flowers, whether made of plastic or some other material. They tend to be a lot cheaper and last longer as well. Plan a day-after picnic at a local park. Make sangria with affordable boxed wine, serve simple picnic food, and play lawn games. 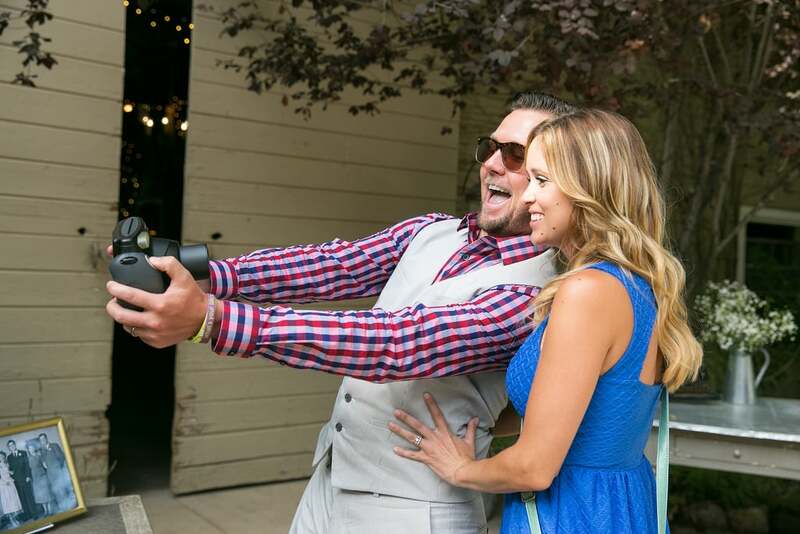 Find out if you can get a better deal by hiring the photographer and videographer together. This means that they will also be working together as opposed to clashing — another bonus for you. Videographers may bring their assistants along for the job, and although it's handy to have other cameras around to capture different angles, you will also be paying more. You might want to cut the number of assistants to save money. You can always use nonplant centerpieces to save money on flowers as well. Some alternatives include framed photos, shells, candles, and dessert. 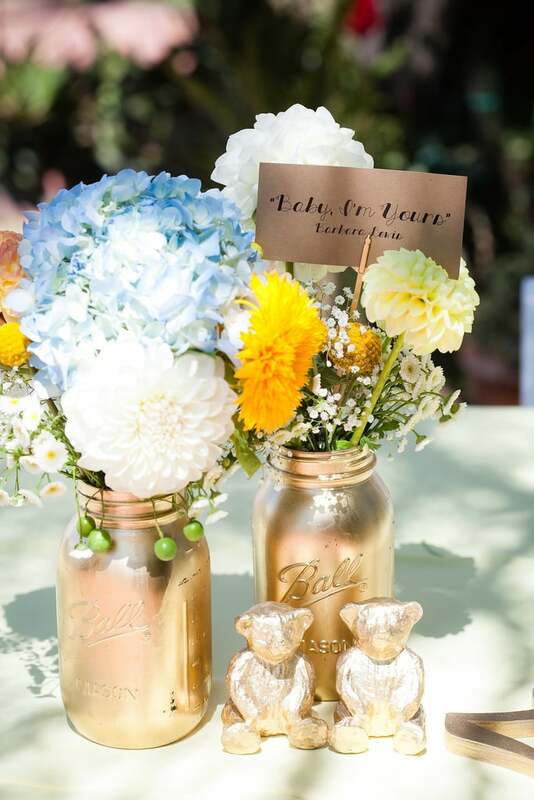 Use your bridesmaids flowers as centerpieces for the tables. Browse Etsy for cute holders that will let you display them artfully. 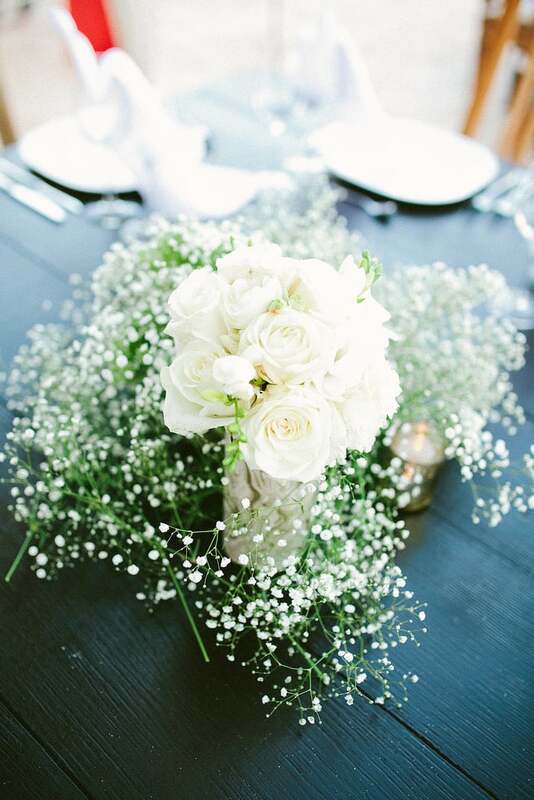 Instead of flowers, consider using greenery to decorate your table or amp up your bouquets. 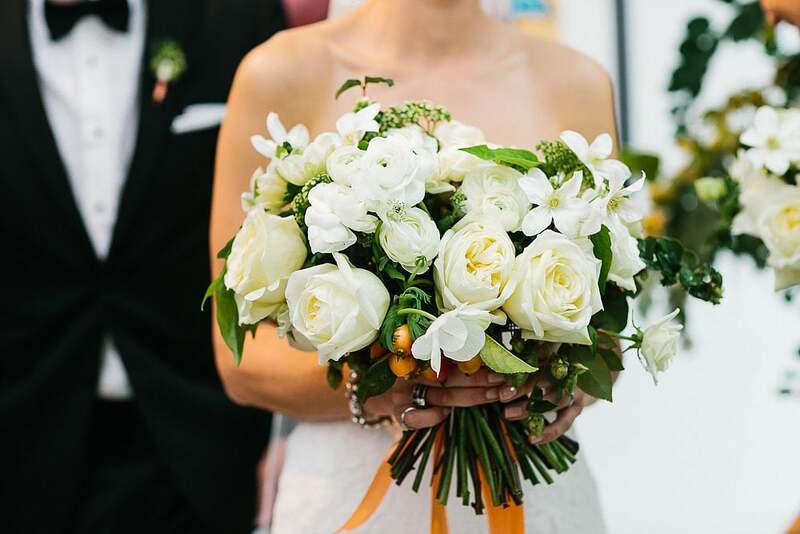 It's a refreshing take on the traditional wedding flowers. Search for items on sites like eBay, Etsy, and Amazon, and compare those prices with local vendors to find the best deals. A shrimp boil is an affordable all-in-one meal that doesn't require utensils. Have a friend or family member who has a knack for photography but isn't necessarily a professional? You'd be surprised by the quality of photos a talented amateur photographer can snap. 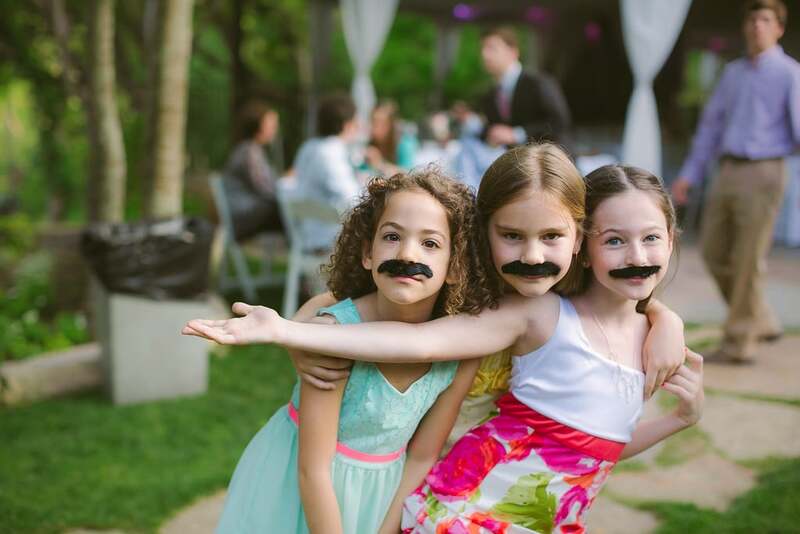 Of course, if your photographer buddy is someone you're inviting to the wedding anyway, you'll certainly want to make sure he or she is OK with taking on the responsibility. 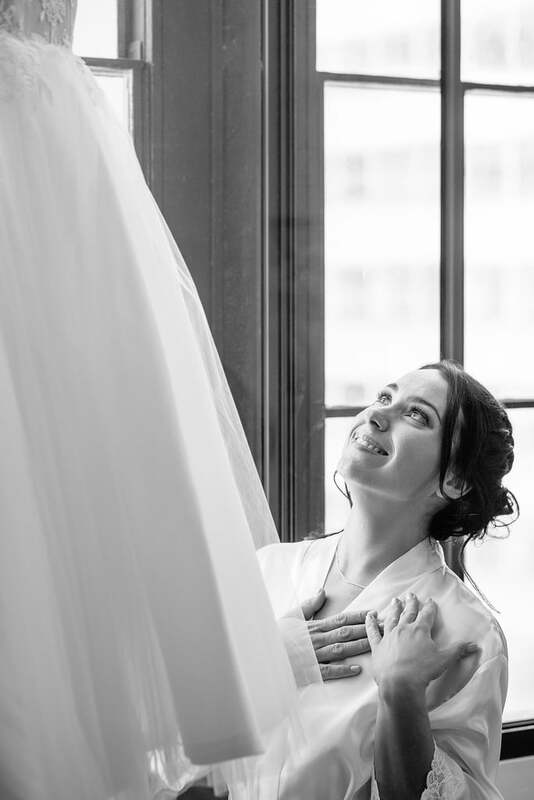 But having someone you know shoot your big day has huge advantages: you'll be more at ease being photographed, and you may feel comfortable letting him or her snap more intimate moments. Tight on space? 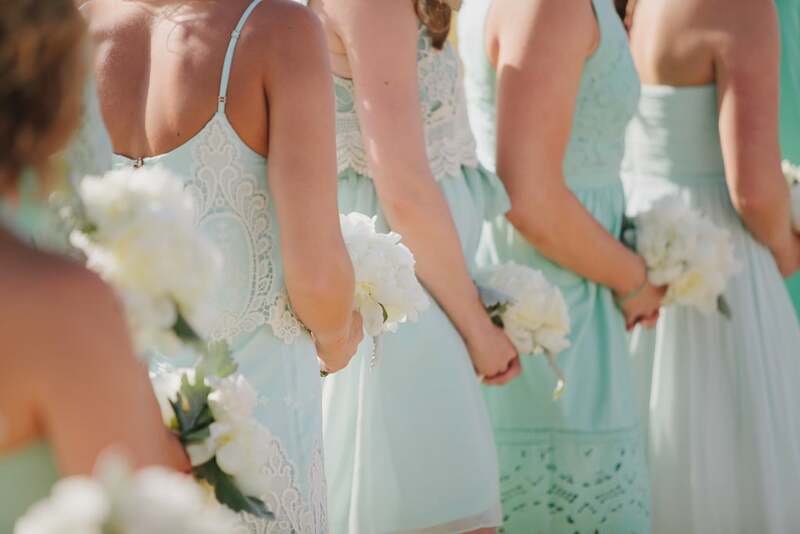 If you've decided that only your bridal party and engaged pals can bring plus-ones, then you should try to stick to that rule. It's the best way to avoid offending your loved ones, and it's an easy way to limit extra add-ons. If a caterer presents a dish that sounds mouth-watering but comes at a premium, then ask if they can substitute in a less expensive ingredient. For example, instead of filet mignon, see if they can use tenderloin medallions. Also be wary of out-of-season ingredients, and ask your caterer if local, in-season substitutes can bring down the cost. 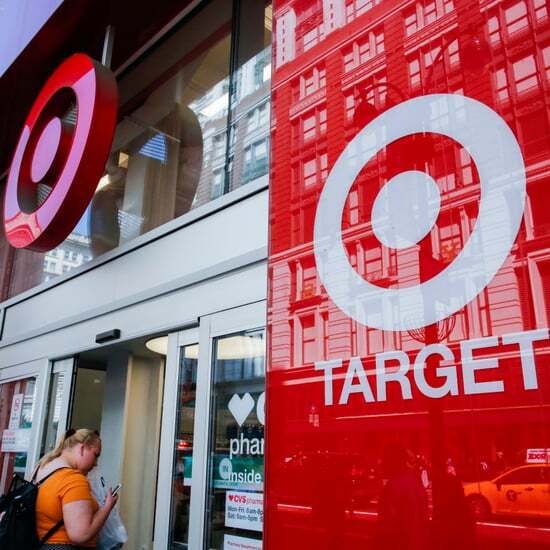 Stores will offer deep discounts on items that are being discontinued. Just make sure they still have enough to cover all your guests! Flowers that are in season tend to be cheaper than those that aren't, so consider visiting your local florist to get the details. 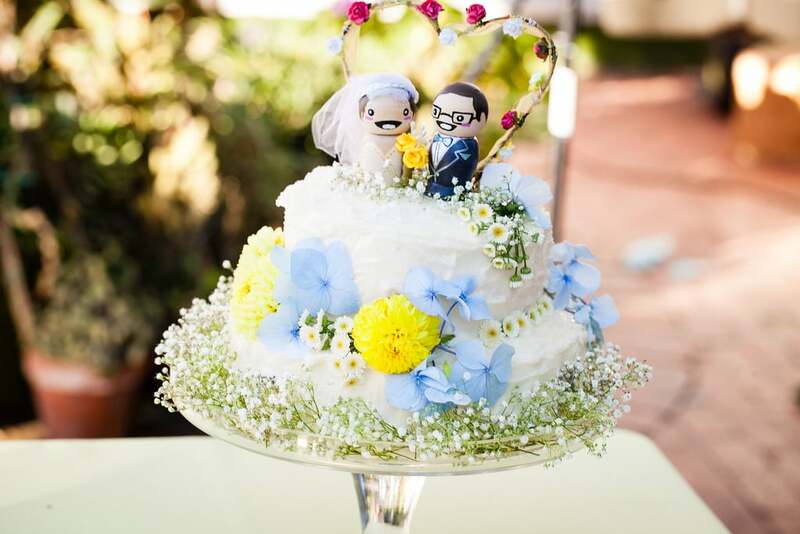 Explore affordable but beautiful wedding cake at ethnic bakeries. Just like with items sold at ethnic grocery chains, the baked goods tend to be cheaper, too. 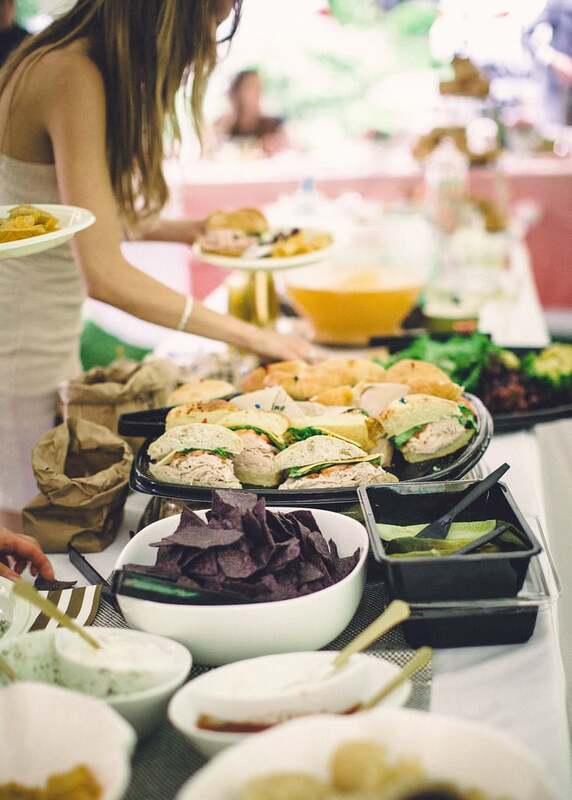 If you expect a lot of children to attend, then make sure your caterer provides smaller, cheaper kids' meals. 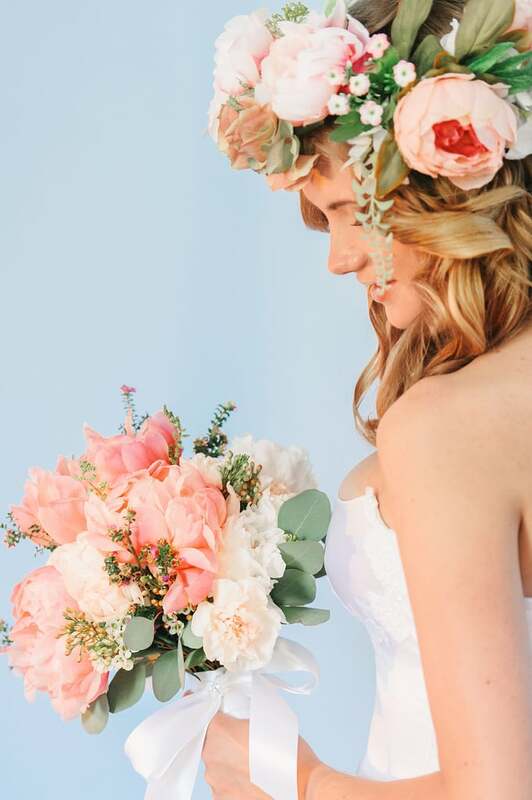 If you hold your wedding in a place with a lot of beautiful flowers already in place, like a garden or a backyard, then you won't need to purchase any from the store. You can enjoy nature's beauty without the need to cut any flowers! 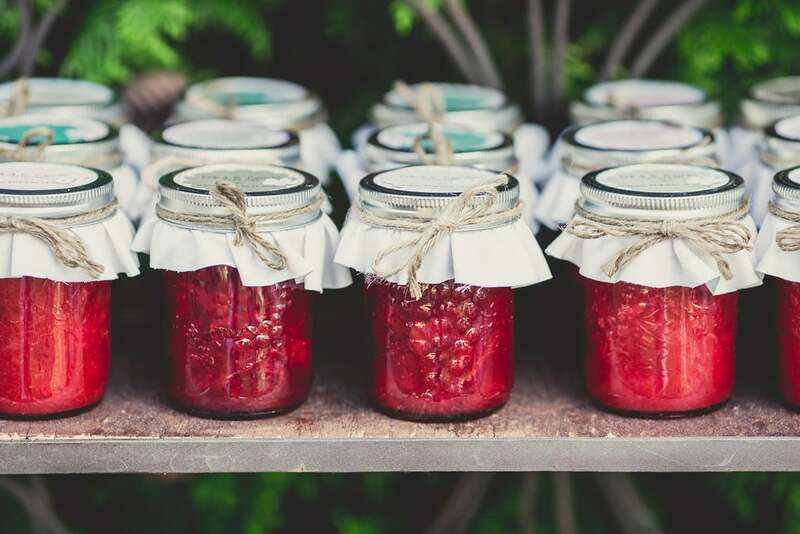 If you want to invite all of the out-of-town guests to something but a huge rehearsal dinner isn't in your budget, then host a postwedding brunch for everyone. 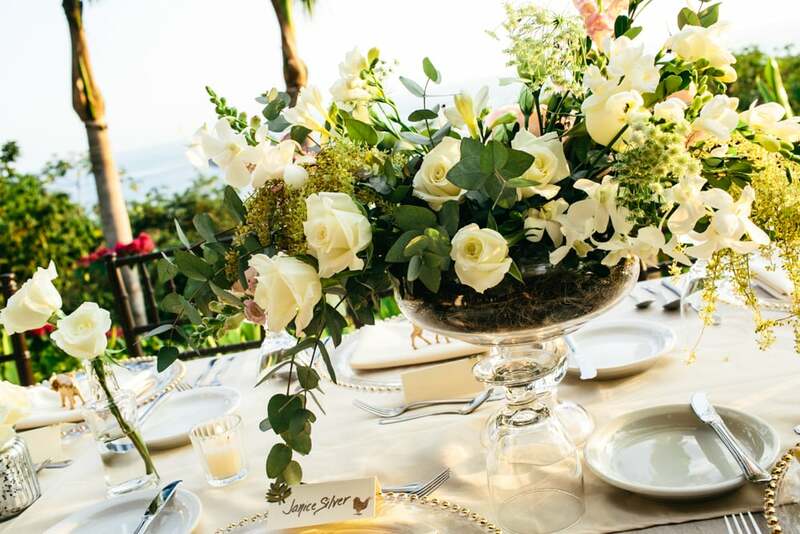 Just explain to your guests that you have to keep the rehearsal dinner small but that you'd love to have them join you for the brunch. It's a great way to bid everyone farewell and thank them for coming. 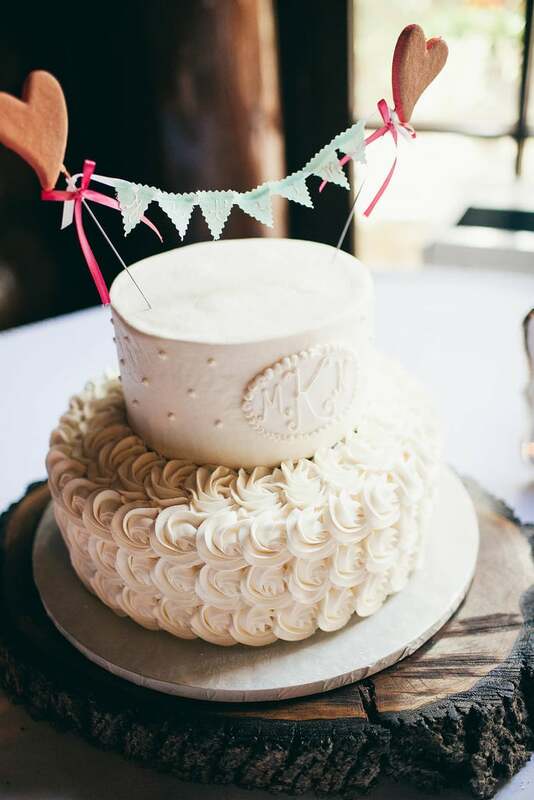 There's a burgeoning trend of supermarket wedding cakes, and many chains are even adding fancy fondant designs and details. The cost of these grocery store wedding cakes can cost you about $300 — a bargain compared to specialty wedding cakes. A fun alternative to expensive DJs and bands would be to rent a karaoke machine. It's a great way to get everyone excited and to cater to everyone's music taste. If you're willing to forgo gifts, then ask your guests to bring a potluck dish instead. You can group guests into categories (main course, salad, etc.) or ask them to provide a themed dish that reflects your personality as a couple. 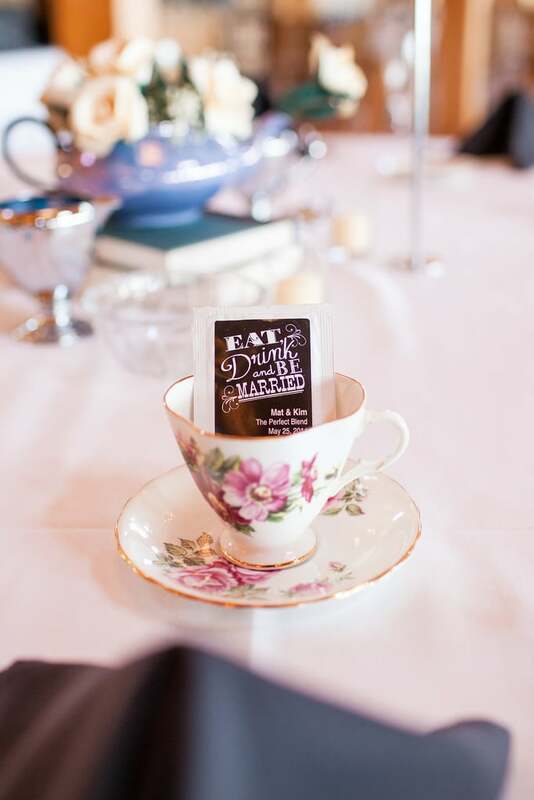 Make it fun, and not only will it alleviate your budget woes, but it will also make your wedding an event to remember! You can offer an open bar in return. 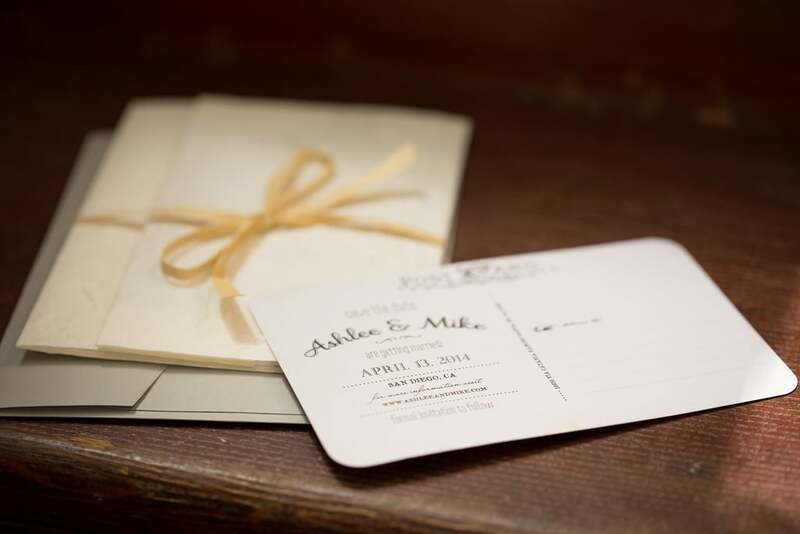 Evite may have been the first to market with online invitations, but plenty of other services have followed suit with gorgeous templates and customization options to create the online save the date or wedding invitation of your dreams. Try Paperless Post, Glo, or Riley & Grey. 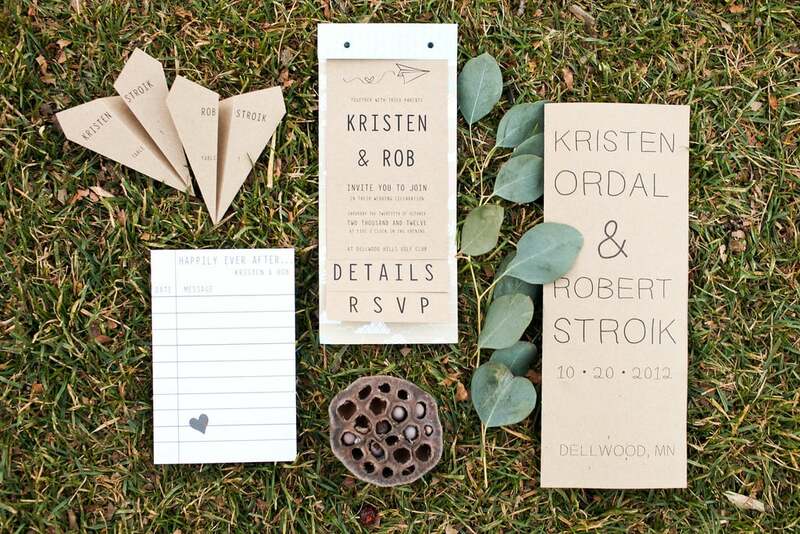 Most options allow you to send an invitation and field RSVPs without a single stamp. Even if you send paper invitations, cut down on costs by asking guests to RSVP by email or on a password-protected website. 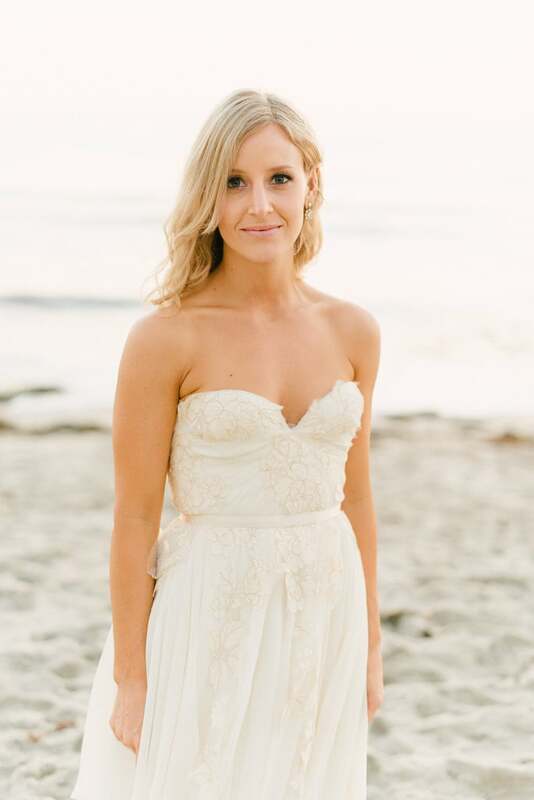 See if there are other brides holding a wedding on the same day at your venue at a different time. 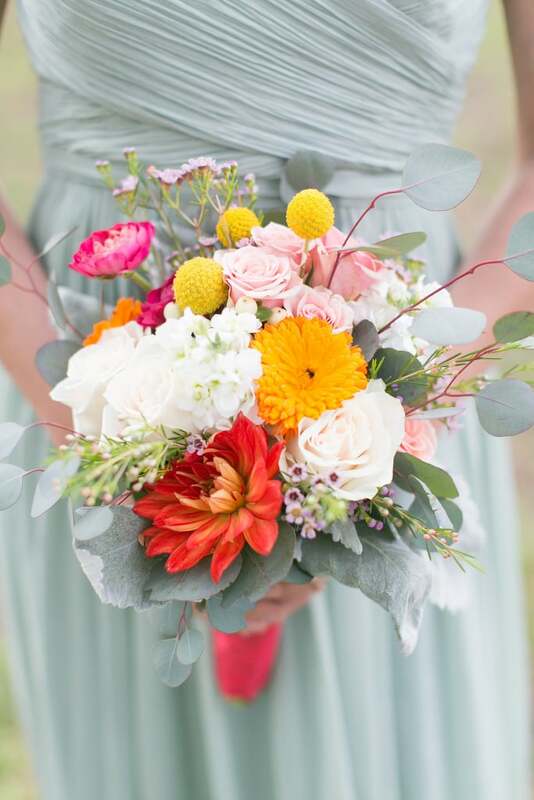 Perhaps you can coordinate with the other bride to share flowers once the other's wedding is done. 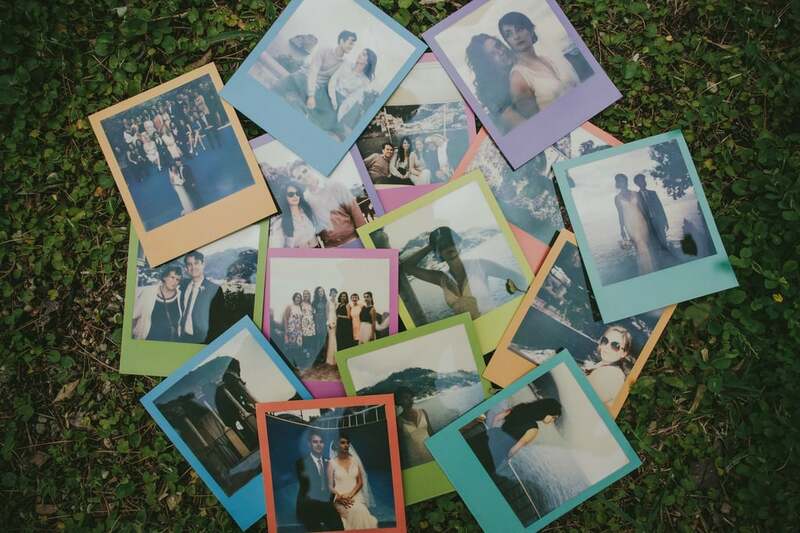 Take a look around to see if there are any film students who are willing to shoot your special moments for a cheaper price. There is some serious talent in those film schools! But make sure you take a look at their past work before hiring. 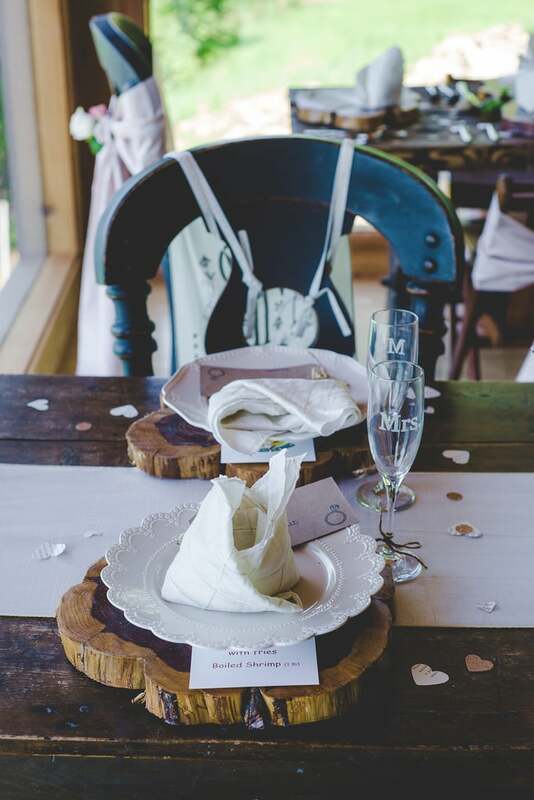 Instead of tangible gifts, leave a note or certificate at each place setting letting your guests know that you've made a donation to your favorite charity in their name. 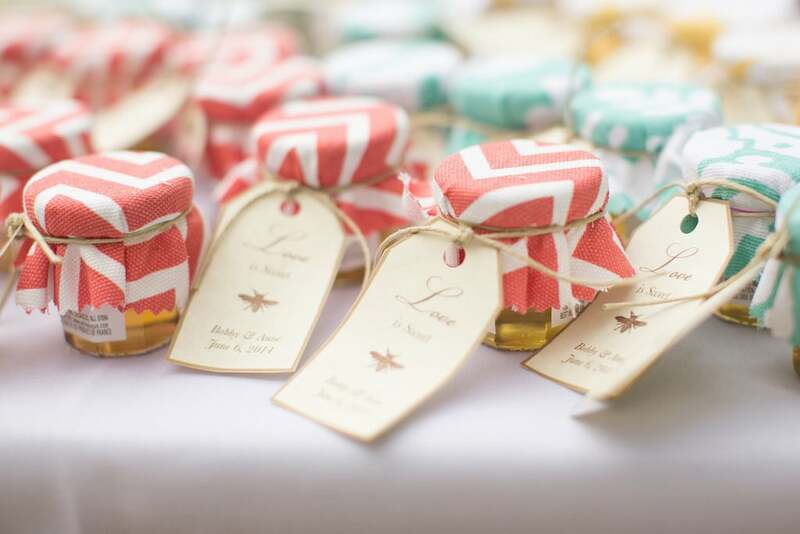 If your favor budget precludes you from buying suitable wedding favors, then you can use it to make a difference and share the warm feelings with your guests as well. Opt for a build-your-own-pasta buffet catered by a local restaurant. Each guest will be able to choose exactly what type of meat, fish, veggies, or sauce he or she wanted, and the chefs will toss together a customized pasta dish. It is just as easy and much more delicious and fun than a traditional buffet. Don't go crazy by making your video really fancy with special effects and sounds, which may distract the viewer and it can possibly look really cheesy years later. These fancy additions will also cost you more, as the videographer will have to spend more time on editing. Stick to a simple DVD case as well or make your own instead. If you're looking for budget photos, then skip the wedding sites and directories and head to Craigslist (search "photographer" in the Creative Services section). Budding wedding photographers looking to build experience and portfolios often list their services here at a fraction of the cost of more-seasoned pros. 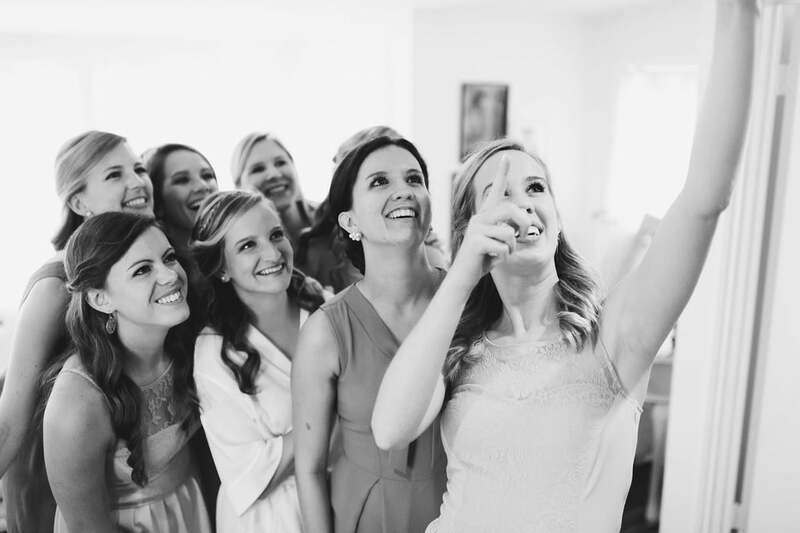 Plus, newer photographers can bring a fresh eye to your big day and capture fun, unique shots. Just be sure to ask for plenty of samples and references. Request the raw footage from the videographer and edit it on your own. Take an online class to gain some video-editing skills for programs such as Final Cut Pro. Lynda.com is a good site for these types of tutorials. I actually shoot and edit videos on my own, and it's not that hard once you get the hang of it. Or find a video-obsessed pal who will be able to do it for you for cheap or free! You'll be busy with many other details on your big day, but if you know the tunes that can cause your guests to cut a rug, then grab an iPod and create your own playlists beforehand. 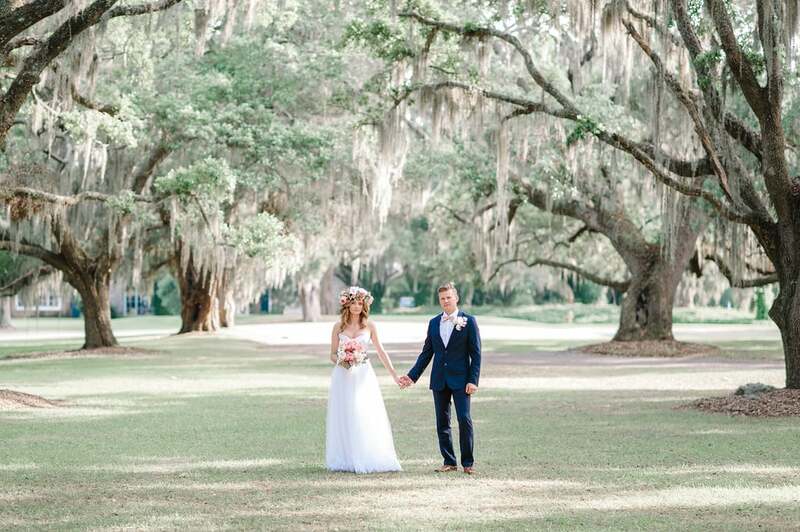 For the ceremony, choose songs for the processional, recessional, and the bride's big entrance. 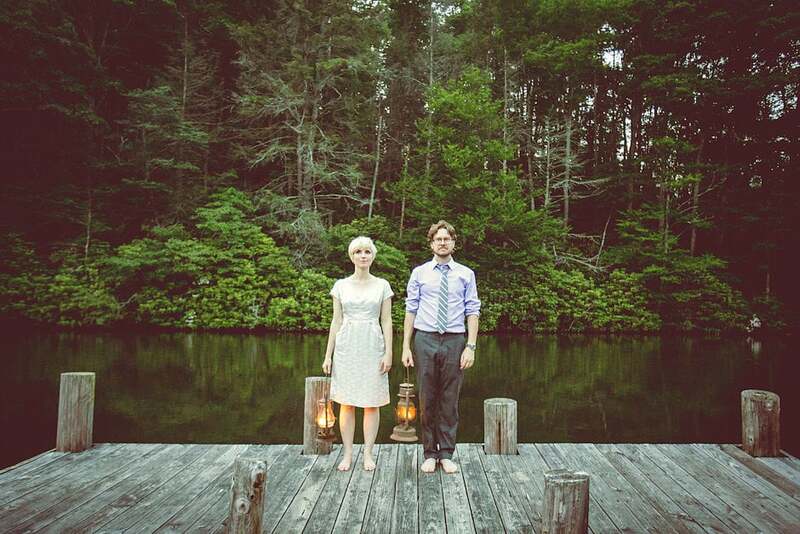 For the reception, you'll need a song or two for the bridal party introductions, then some mellow tunes to dine by, the first-dance music, and a long playlist to keep your guests dancing into the night. Have a friend be responsible for DJ and emcee duties while you enjoy the evening with your sweetie! If you simply can't do without your town's cover band of the moment but an entire night of live music won't jive with your budget, then see if they are willing to play just one set during your reception. You can bookend their appearance with a DJ or a playlist on your MP3 player, and you can advertise the evening's headliner to your guests ahead of time. 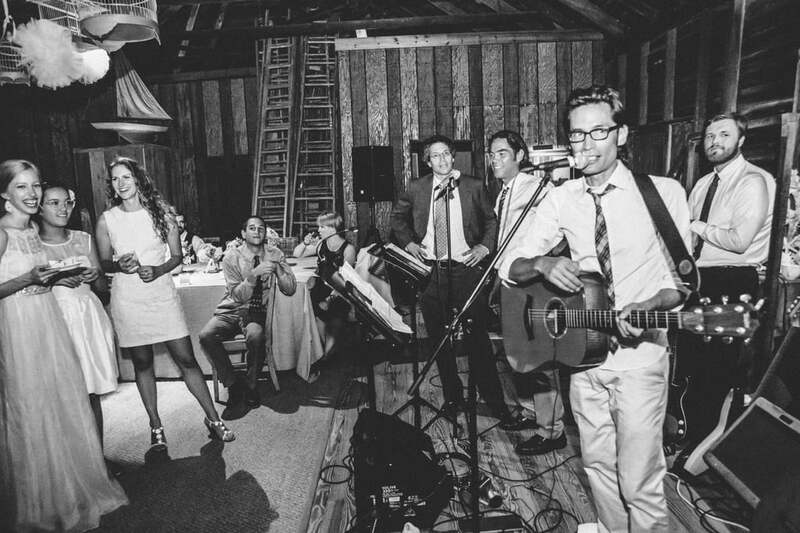 If the phrase "I'm with the band" has become your weekend mantra, then you might have cheaper wedding music at your fingertips. Ask your cousin at Juilliard to help you down the aisle at the ceremony and your pal on the nightclub circuit to make an appearance at your reception. 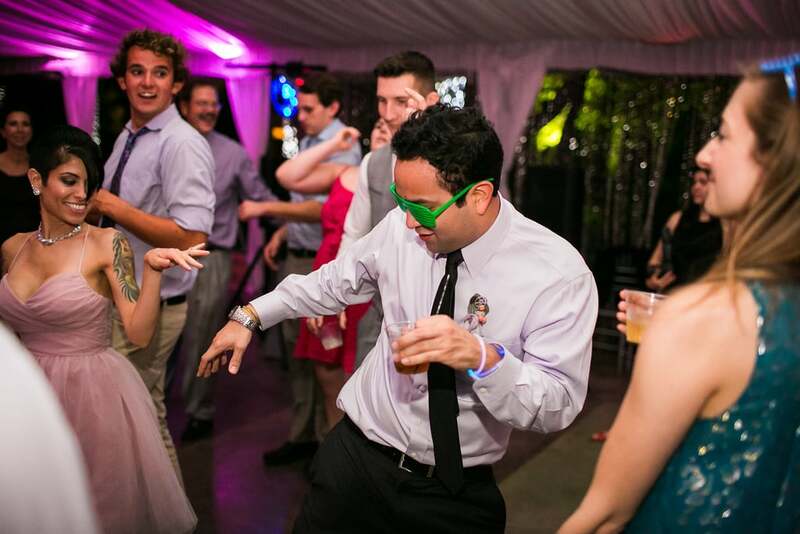 Your guests will love the live music, and you'll always remember rocking out to your friend's melodies on your big day. 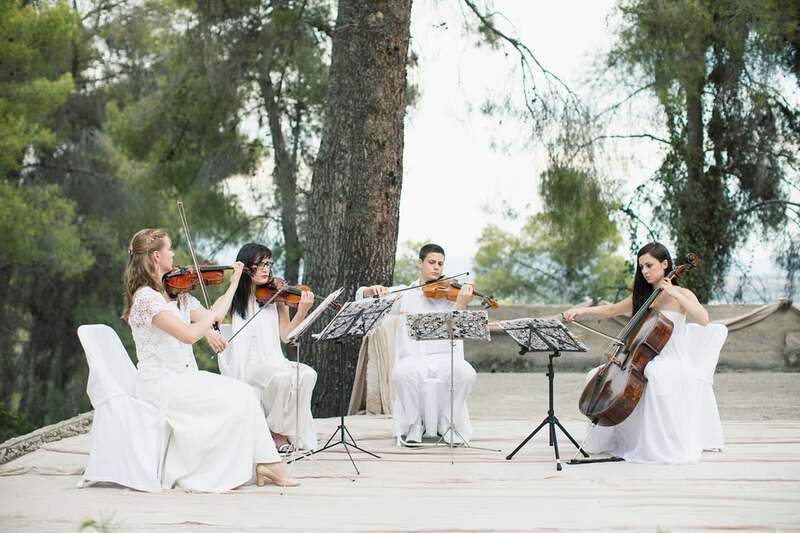 If your ceremony or reception calls for a string quartet, then contact your local music conservatory to find out if they hire out student quartets. These groups are usually less expensive than professional musicians. 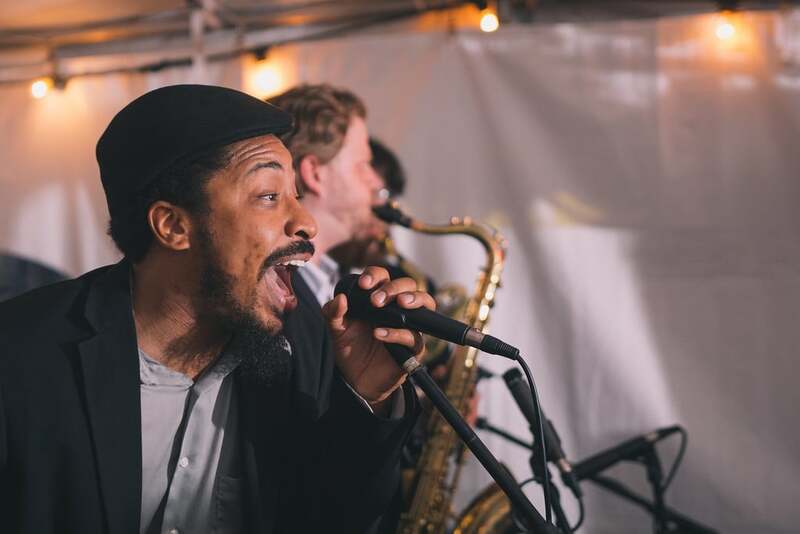 Hiring a DJ is generally cheaper than hiring a live band, and they often serve a dual purpose: playing music and performing emcee duties for the night. 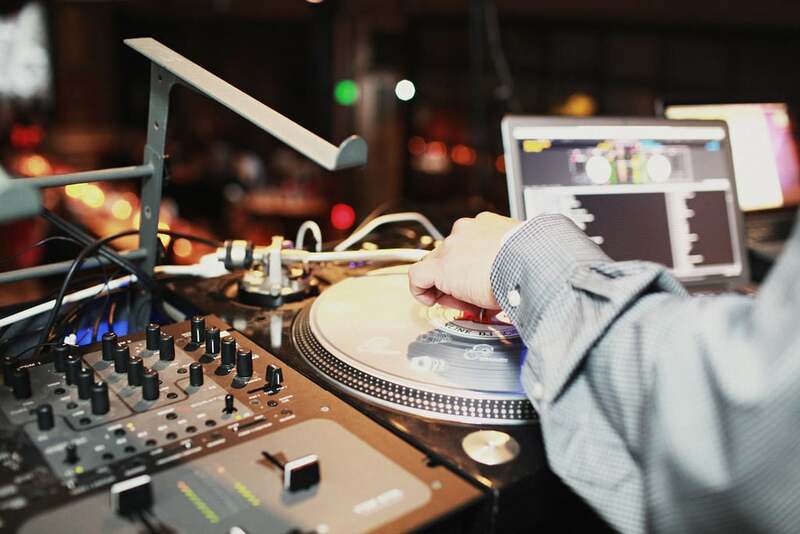 If the vibe of your wedding can accommodate what's considered to be a more casual entertainment option, then a DJ is a great way to trim costs. A 12-person band will be more expensive than a four-person one, but a smaller headcount doesn't translate to inferior quality. 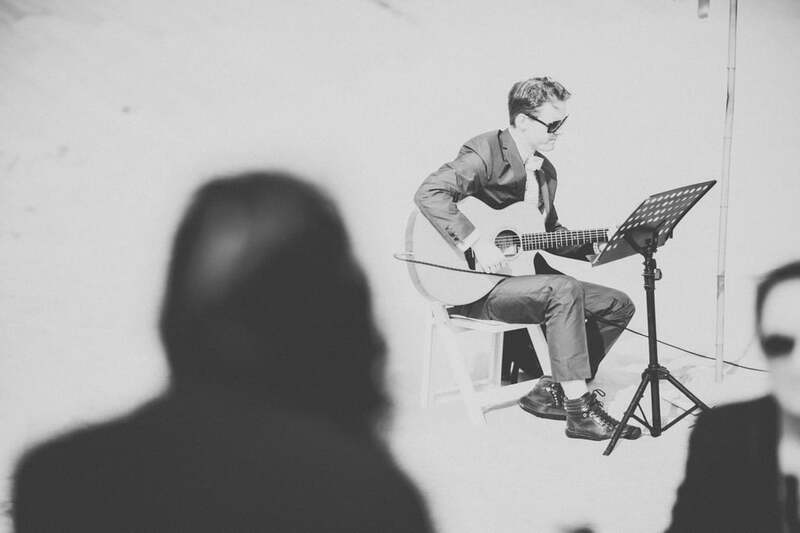 A guitar solo can be a beautiful way to accompany those special moments at the ceremony, and a smaller band may be just the thing for your intimate reception setting. Many wedding entertainment options can be hired for a certain block of time but charge at steeper rates if that time frame is surpassed. Be on the safe side and book your band or DJ for an additional hour beyond when you think you might need them, just in case your guests call for an encore. 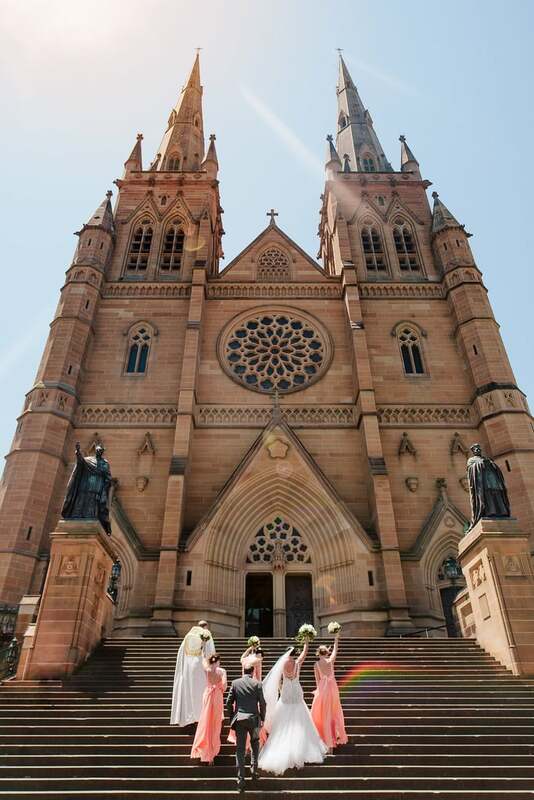 Attend a wedding fair and try to negotiate a better rate with the videographers you meet there. 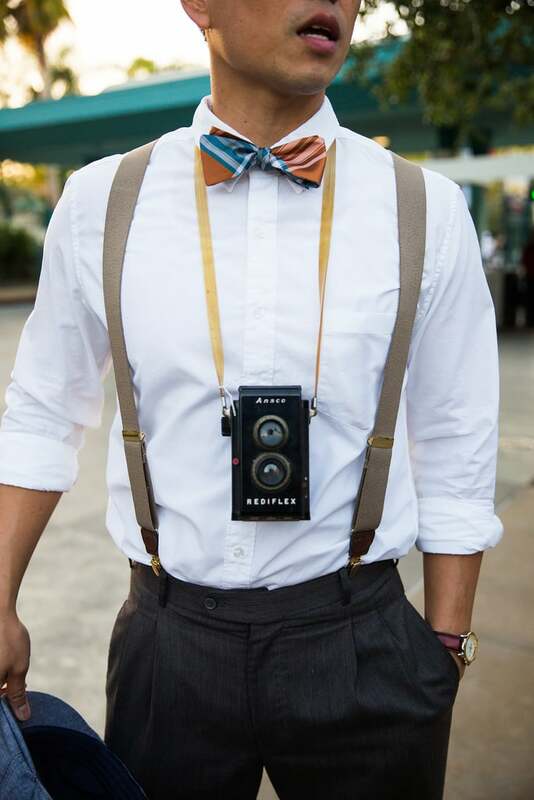 You may be able to get discounts the usual rate just by haggling with the videographer in person at the fair. 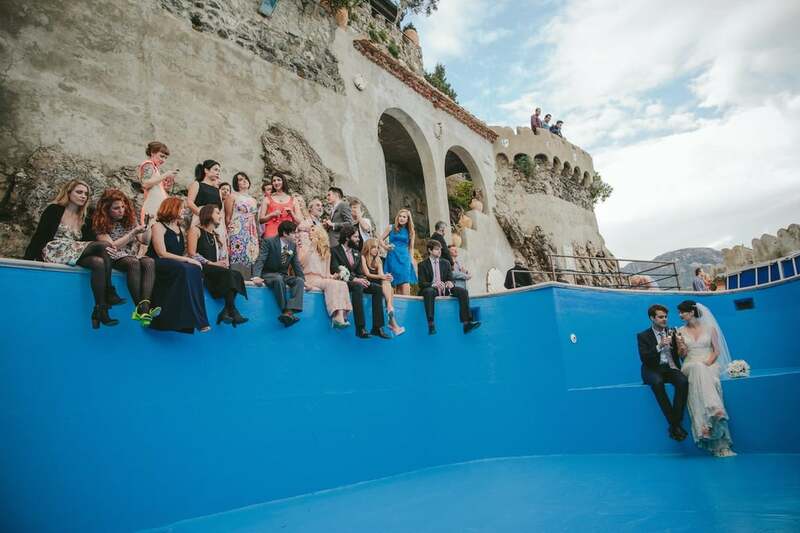 Your best bet for saving at a wedding venue is to pick a time that's not too popular with brides. For example, skip the Saturday date and opt for a weekday or Sunday. Throw a daytime wedding for a lower booking fee. Consider choosing off-season times to throw your wedding, such as the Winter months, which tend to be cheaper. Don't immediately opt for the most conventional locations like the ballroom at the five-star hotel, because the prices for those places will be inflated due to demand. Check out other venues such as a university, public park, gallery, museum, or someone's backyard. 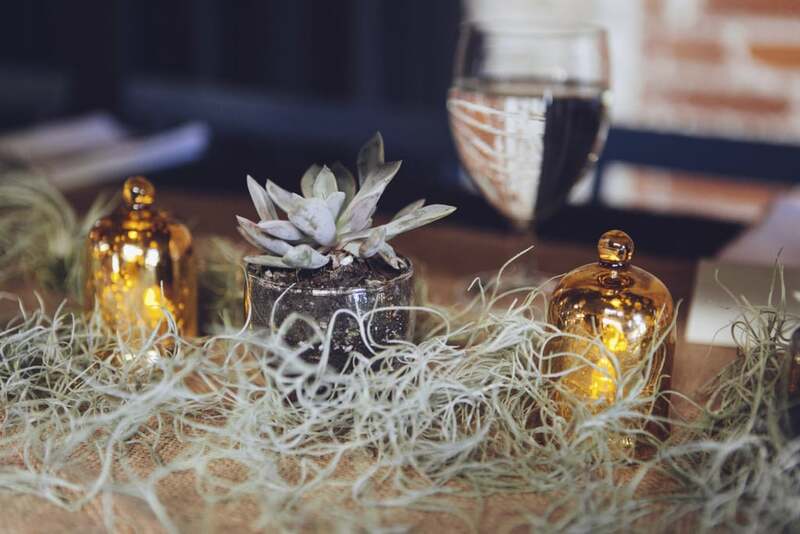 Pick a venue that's already beautiful or that will require minor decor tweaks so you won't need extra wedding decorations. 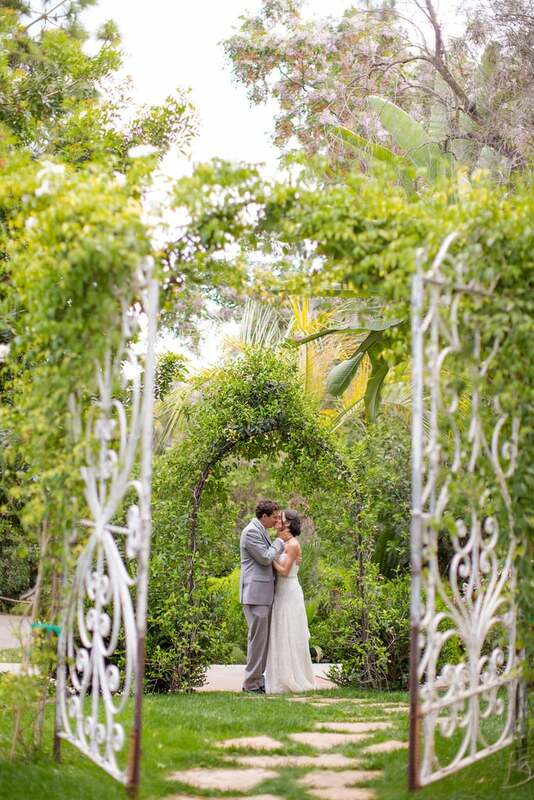 And if you get married outdoors in a garden, then even better! There are no better decorations than what mother nature will provide. When you're taking a look at the venue, remember to ask what's included in your package, just to get a better estimate of the total cost. For example, items like portable toilets, tables, and chairs may need to be factored in. Better yet, book a place that already owns everything you'll need for your wedding (chairs, tables, etc. ), and see if you can get an all-inclusive deal. Getting married in a small town or some other rural area may help you find cheaper prices. 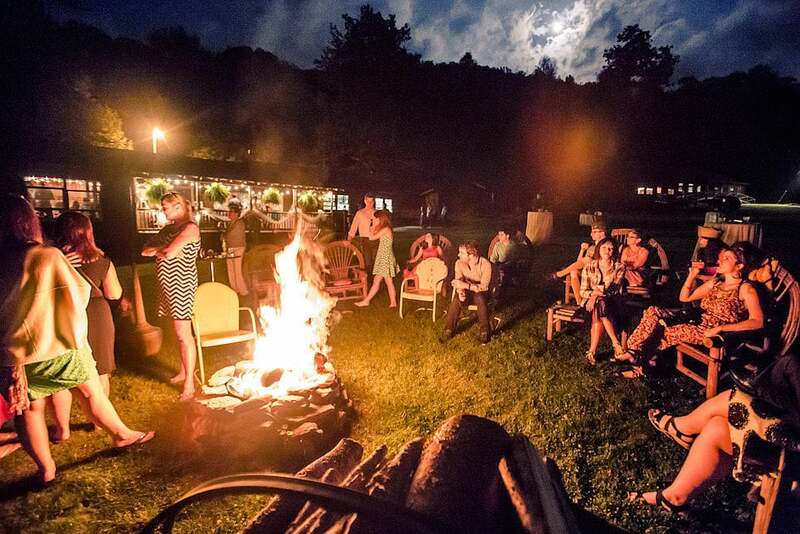 Stay away from hot wedding spots, though, even in rural areas, because those prices can still be pretty expensive. 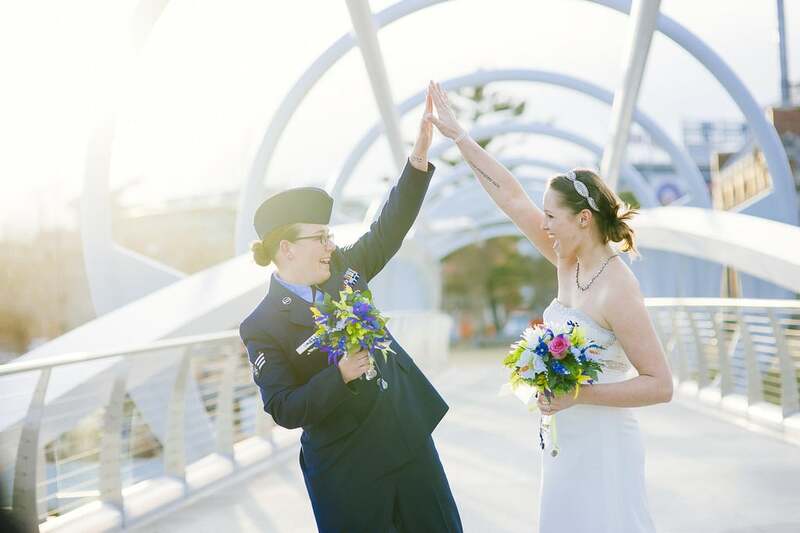 Having the ceremony and the reception in the same location means that you only need to pay for one venue. You'll also be saving on decoration and guest-transportation costs. 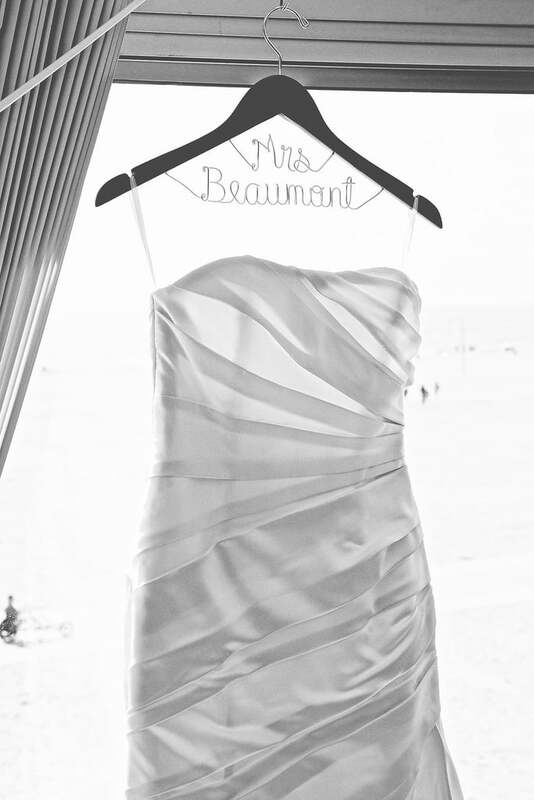 A preowned dress has most likely been used only once, so if you dry-clean the dress, then it's bound to look like new. 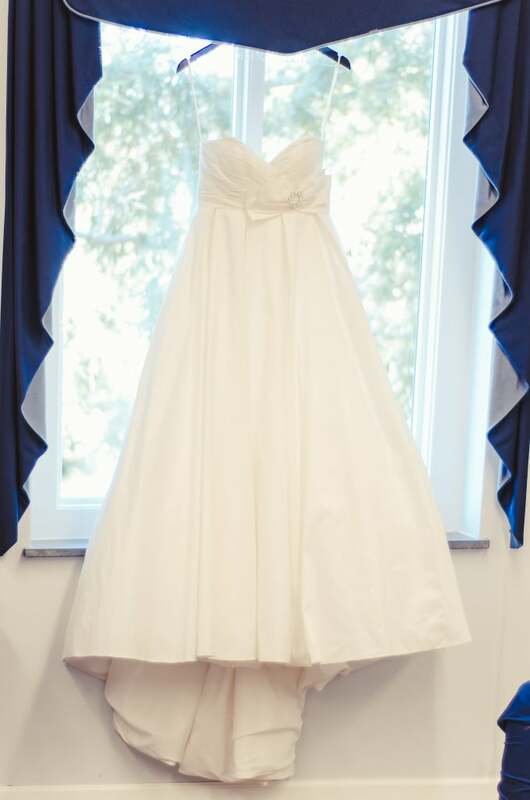 Take a look online at sites like Preowned Wedding Dresses or Tradesy to see what's available. You'll be able to get a high-end gown at a cheaper price! But make sure to factor in the risk of online transactions, do your research properly, and grill the seller. 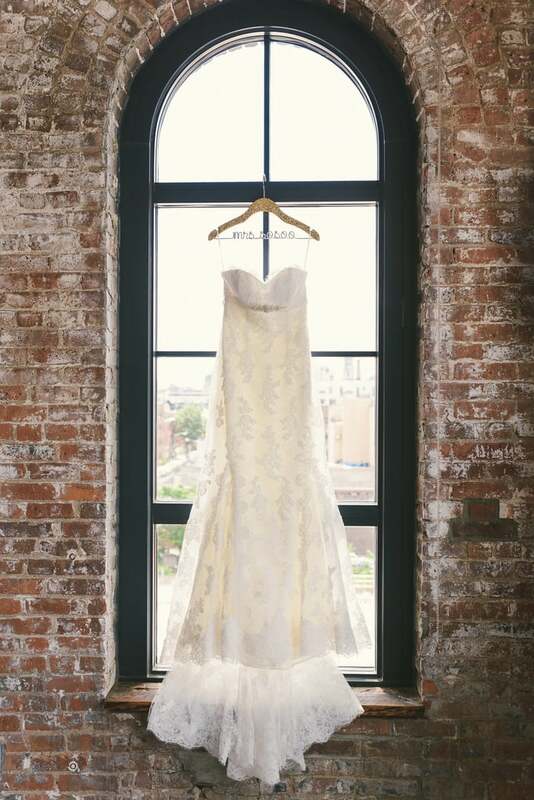 Figure out the venue and the date of your wedding before getting the dress so that your dress will suit the temperature and surroundings of the event. 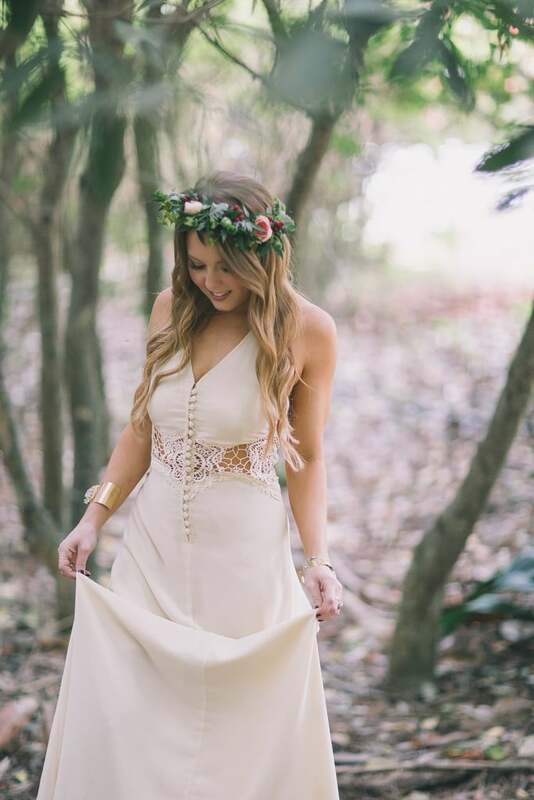 Check out indie designers on sites like Etsy for a one-of-a-kind bridal gown that will usually be much cheaper than a brand-name dress. Check out trunk shows that will often have special discounts on designer dresses. Some designers may even be willing to add small customizations. Just like furniture stores, bridal shops have samples too! Bridal stores often have samples of wedding dresses (usually size 8 or 10) for brides to try on a selection of styles before they buy. Sometimes the retailers will sell the dresses if they are still in good condition, so be sure to ask your local bridal boutiques about them! Wedding gown samples can also be bought at trunk shows. Vera Wang has a much more affordable wedding dress line, White, at David's Bridal. 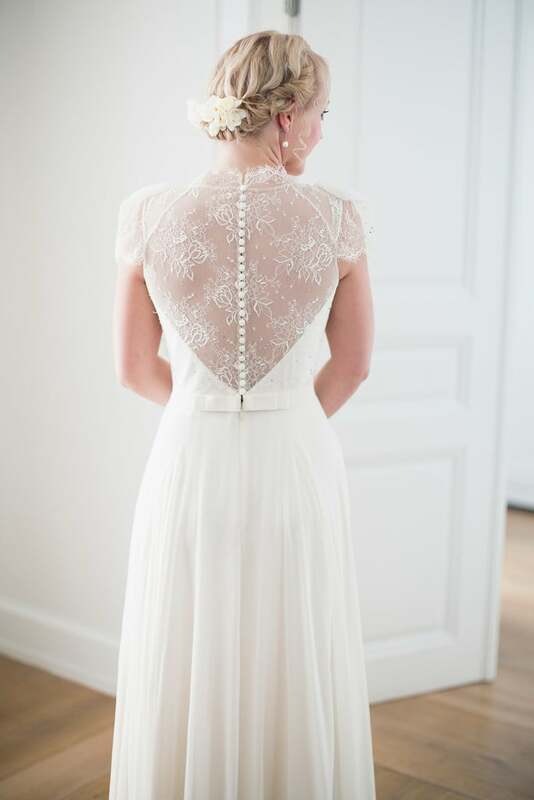 Mass retailers like J.Crew also have affordable options for the savvy bride. Get a simple sheath, and dress it up with a splash of color from a vibrant sash, wrap, or piece of jewelry. If your house is full of tupperware and you're not in need of any items, you might want to set up a honeymoon registry. My pick is Honeyfund.com because it's free and easy to use. There are lots of honeymoon registries online, but many of them charge fees. You can list parts of your honeymoon, such as the air ticket and hotel breakfast. 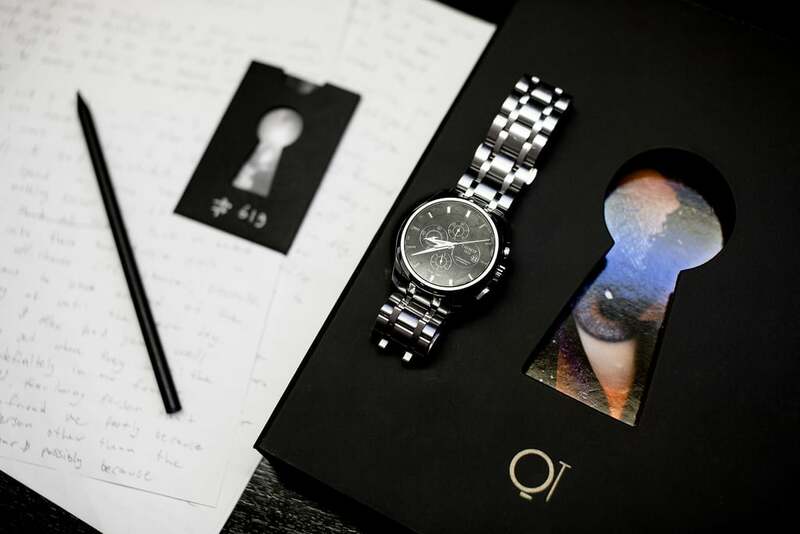 The honeymoon registry is a great way for your guests to chip in for an experience gift. Many credit card companies apply fees to purchases made in foreign currencies, so check with yours to see how their fee would compare to international ATM surcharges. If you own several cards, then check with each about their fees on foreign purchases and use the card with the lowest fees. While travel agents typically charge a couple hundred dollars as their planning fee, they could potentially save you money overall. They often have access to better deals than you can find yourself, and they're willing to work within your stated budget. Not all travel agents fit this helpful bill, so ask around and get agent recommendations from friends and family. Choosing an off-season location will be cheaper than visiting a place during its peak tourist time. Online research will give you a good idea of when various places experience their high seasons, and a travel agent would surely be in the know about seasonality. Plan for a romantic trip in the great outdoors. There's nothing more perfect than lying under the stars and enjoying the fresh air with your newly wedded partner — it's like escaping to a different world. After you've determined how much you can afford to spend on your honeymoon, it's time to choose your ideal place to vacation as newlyweds. Costs can vary greatly depending on destination, so come up with a list of three to five places that you'd love to visit. Your budget may be fixed, but flexibility when it comes to the destination will make it easier to find an option that's affordable. Here's an extra tip for careful planners: you can go on Taskrabbit, an online task-and-errand service, and pay someone to help plan your honeymoon. It's much cheaper than hiring a professional planner. In fact, the most popular historical price for vacation planning service on the site, according to TaskRabbit data, is $30. Why Do You Spend So Much Money at Target? A Former Employee Tells All! I Want to Pay For Half of My Engagement Ring — Why Is That a Big Deal?